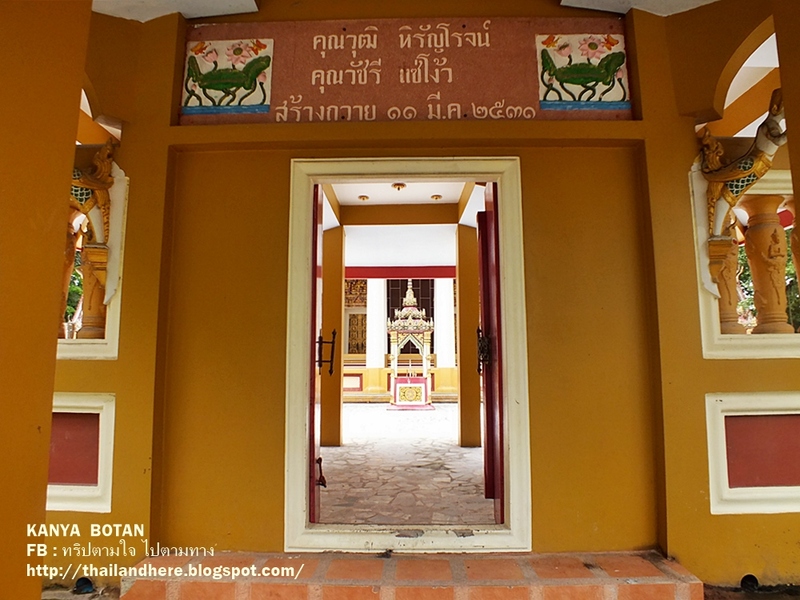 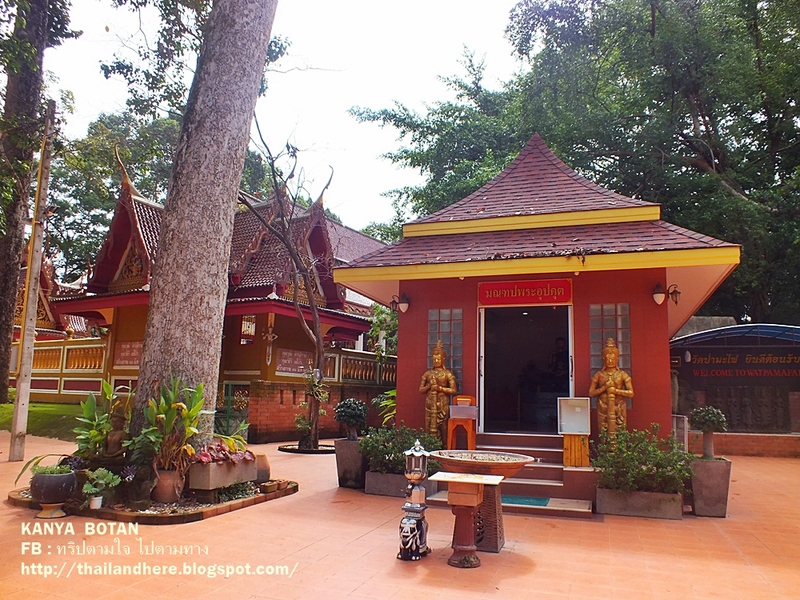 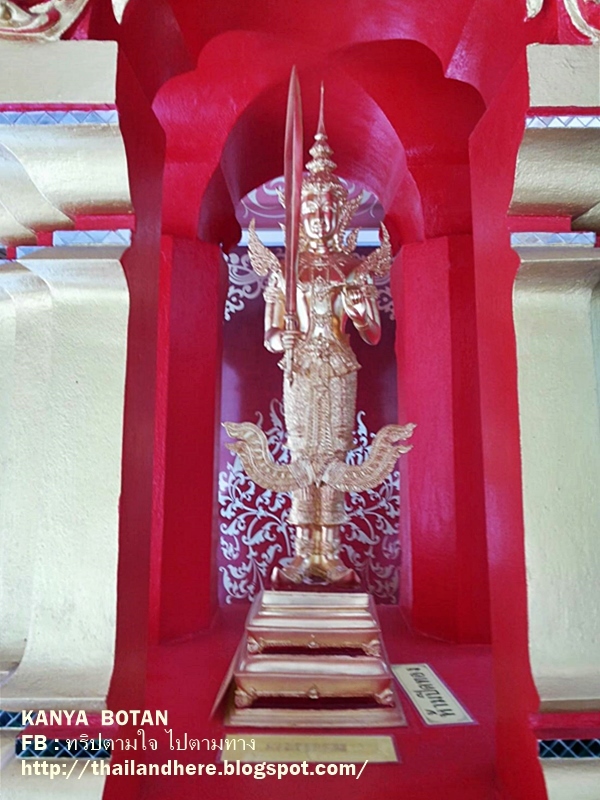 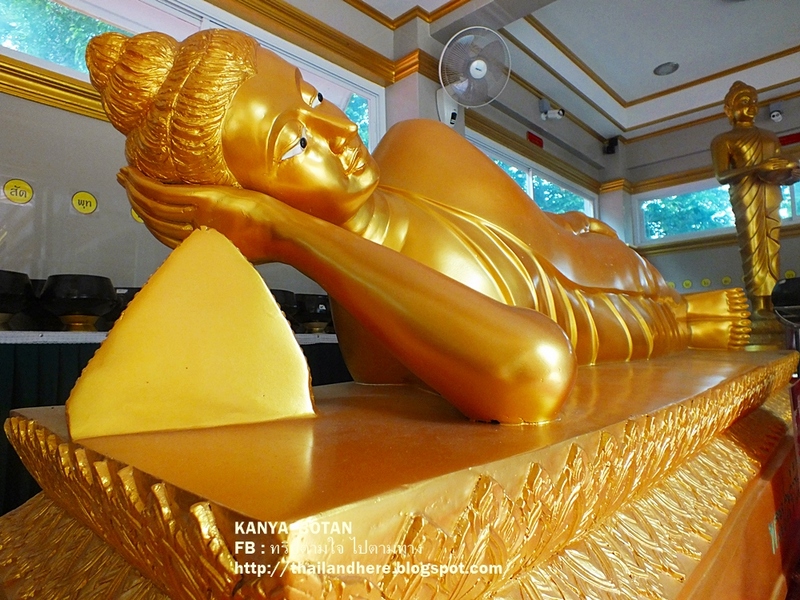 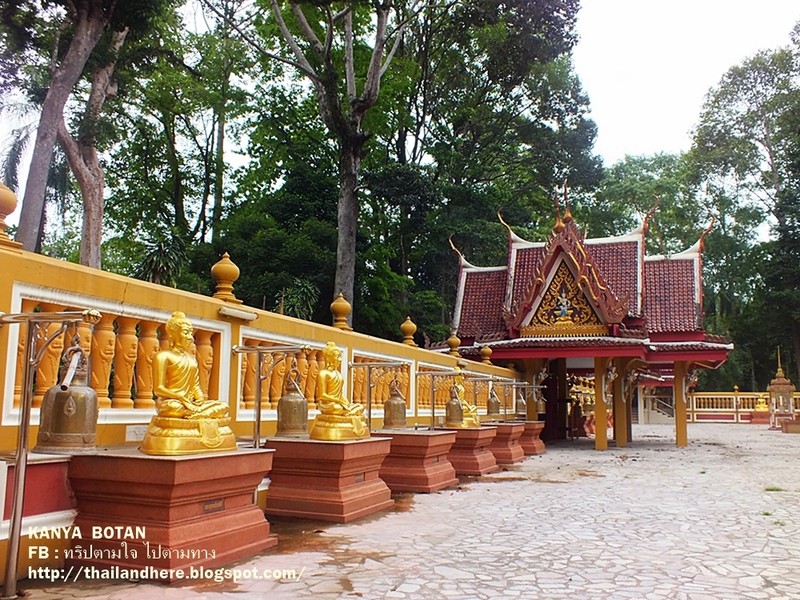 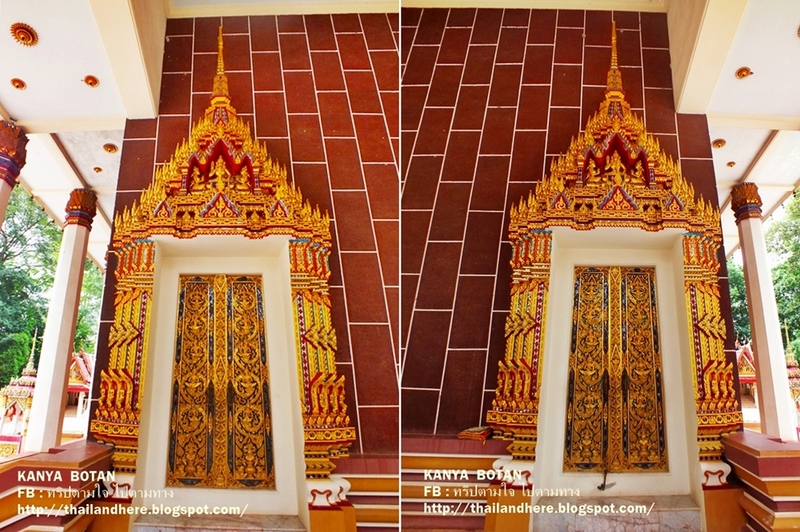 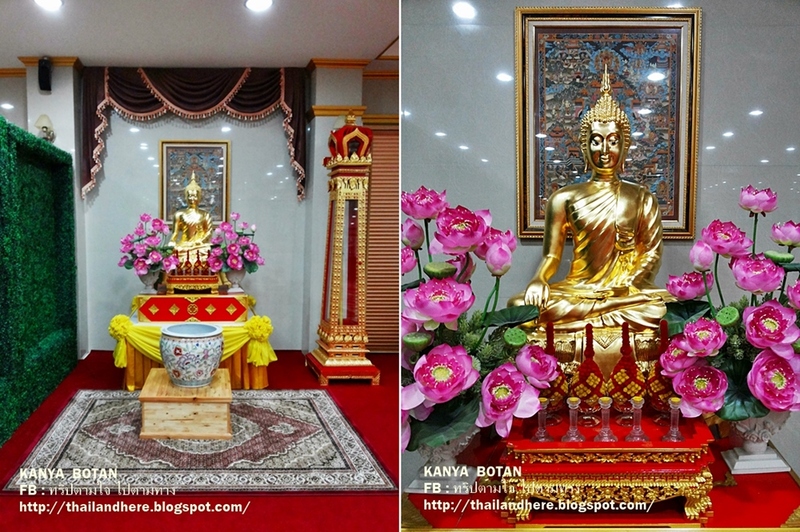 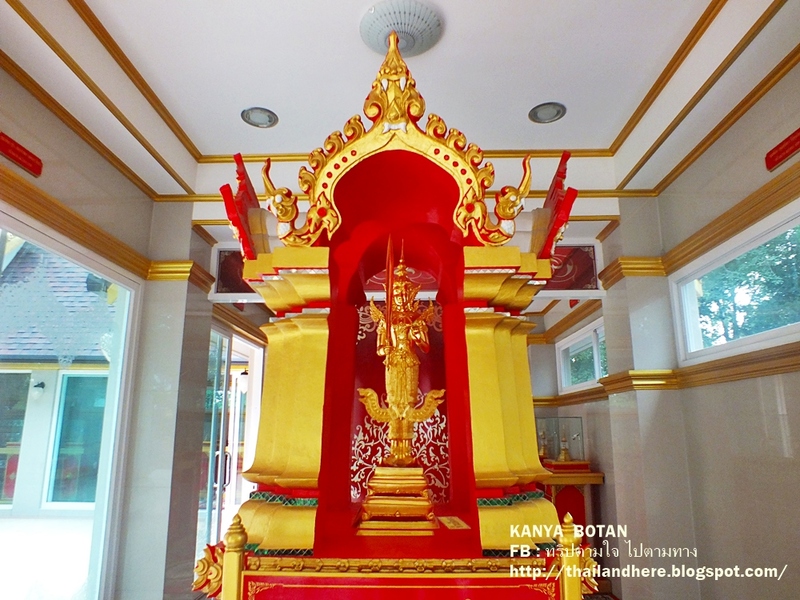 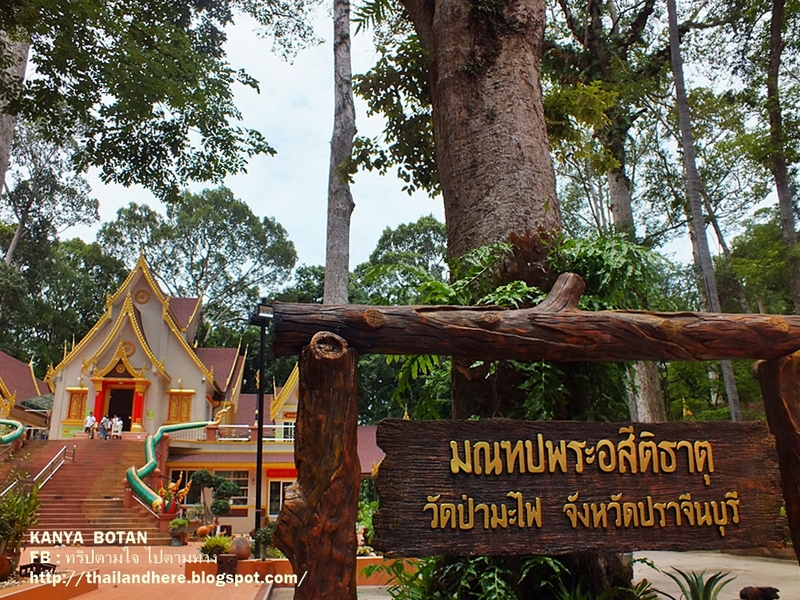 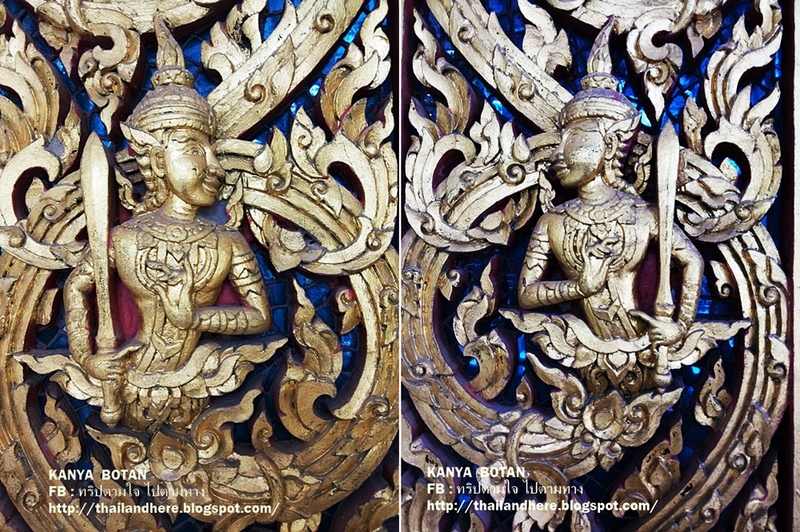 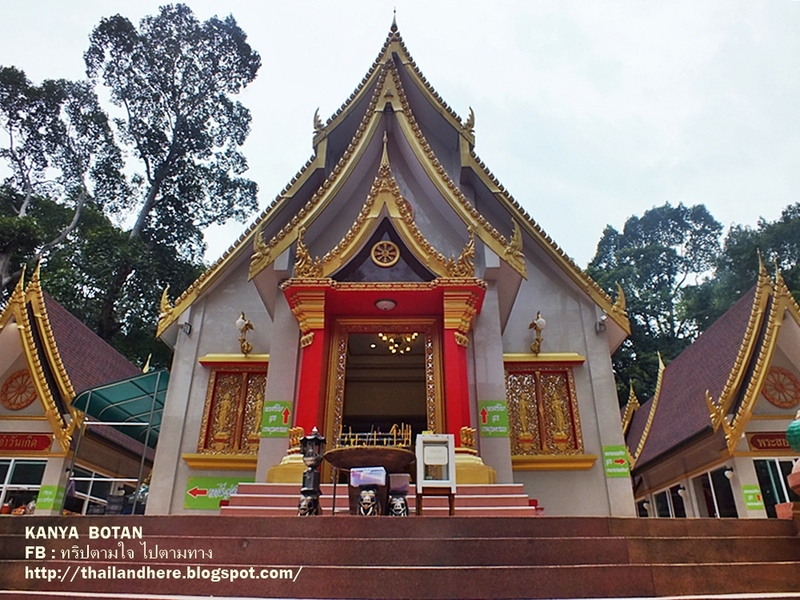 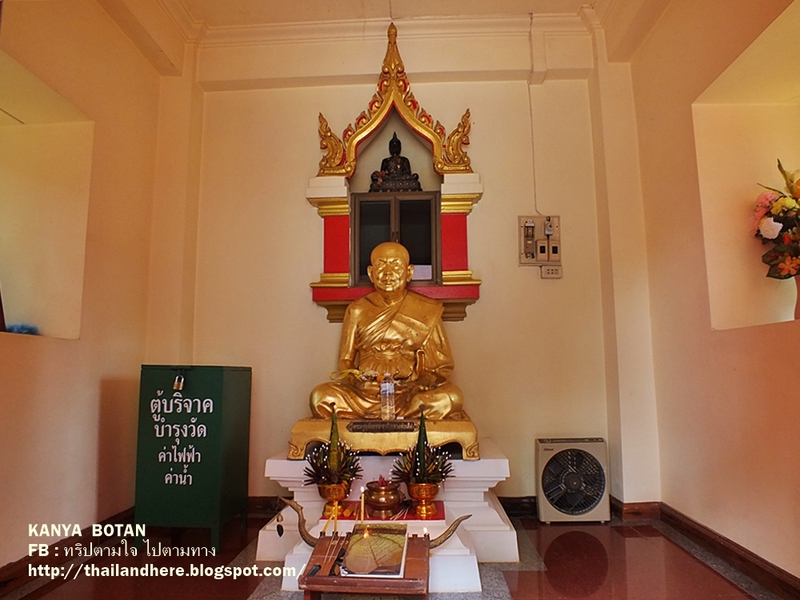 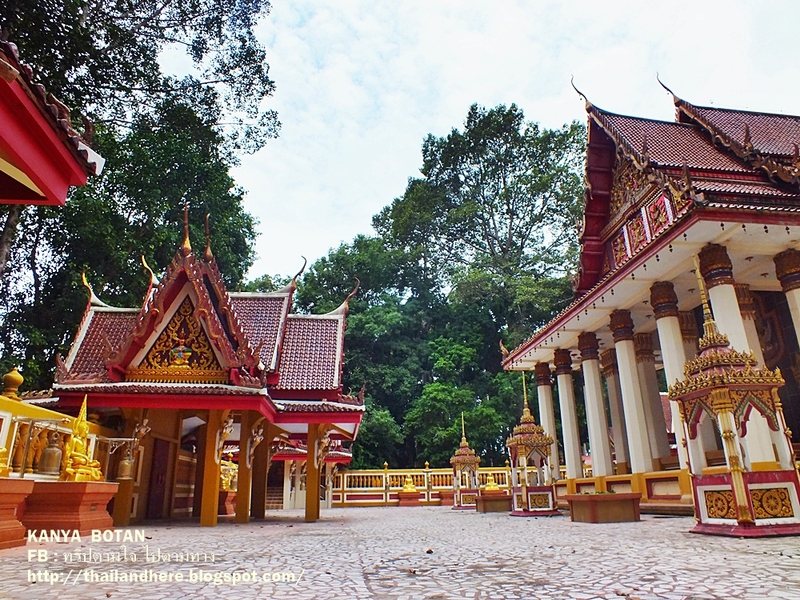 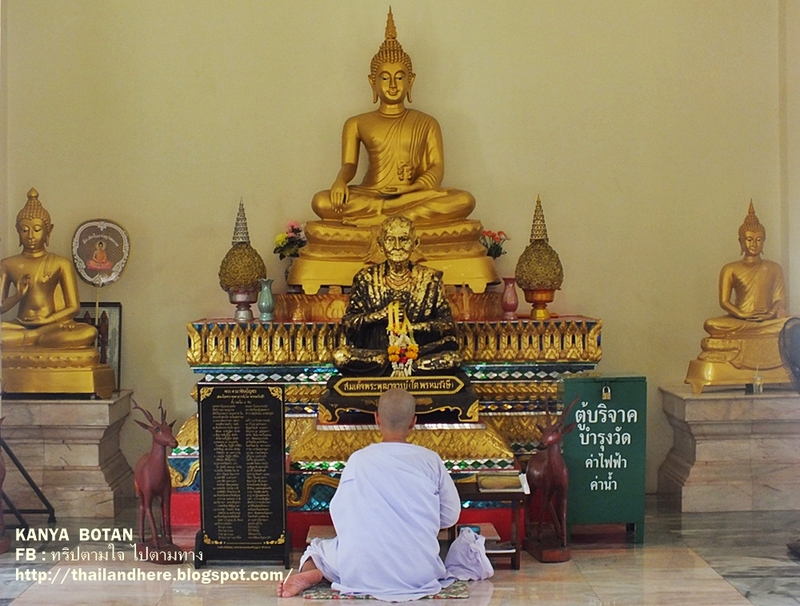 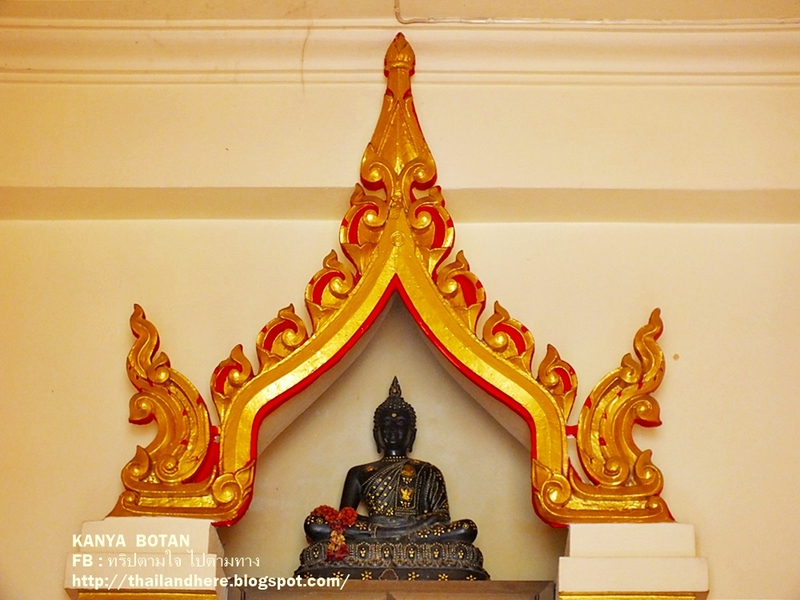 Thailand here ทริปตามใจ ไปตามทาง: วัดป่ามะไฟ ปราจีนบุรี Wat Pamafai in Prachinburi Thailand. 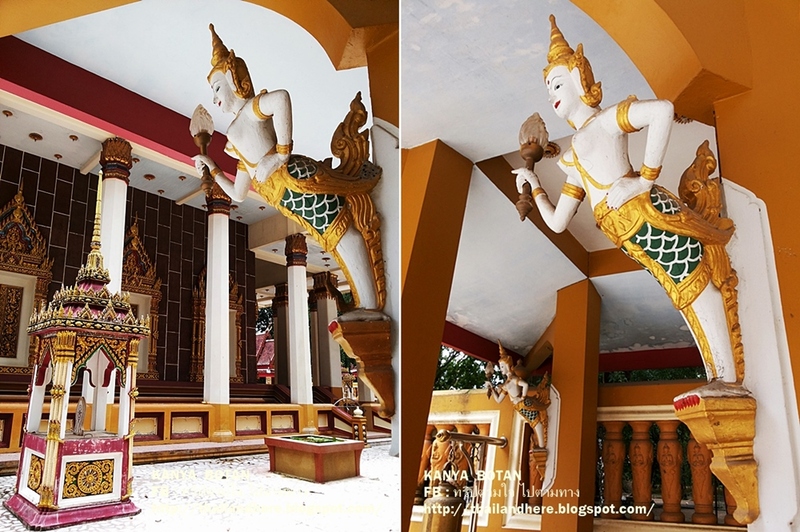 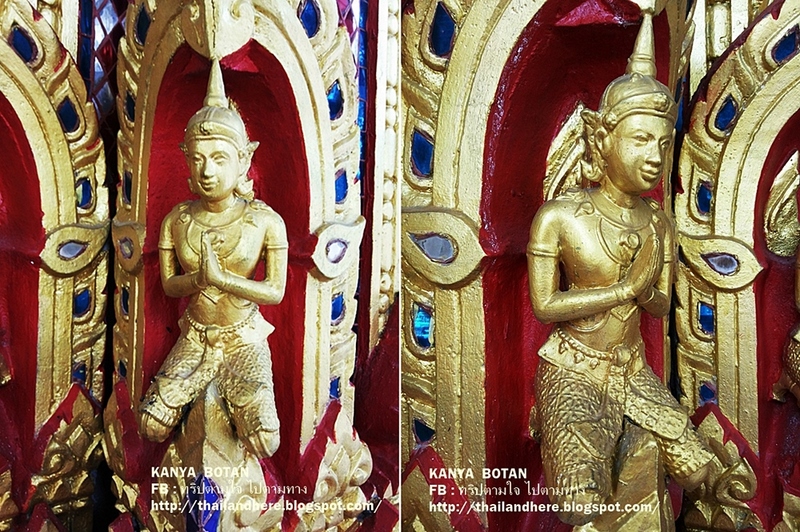 เป็นการเที่ยวแบบตามใจตัวเอง แล้วนำมาแบ่งปันประสบการณ์ รูปถ่าย และ ข้อมูลต่างๆ เพื่อผู้ที่สนใจในสถานที่นั้นๆ "Trip Tam Jai Pai Tam Tang" in Thai. 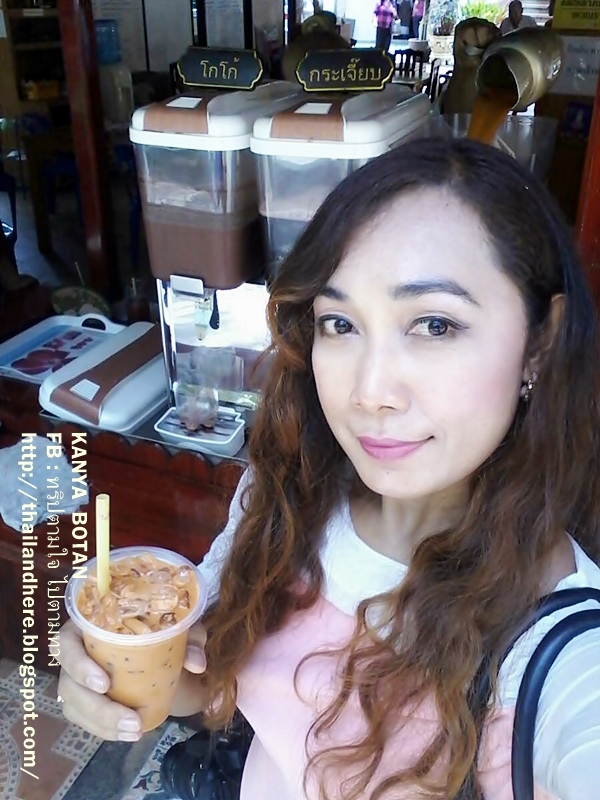 All about travel anywhere, Food, Culture and Place to make the Trip and Travel. 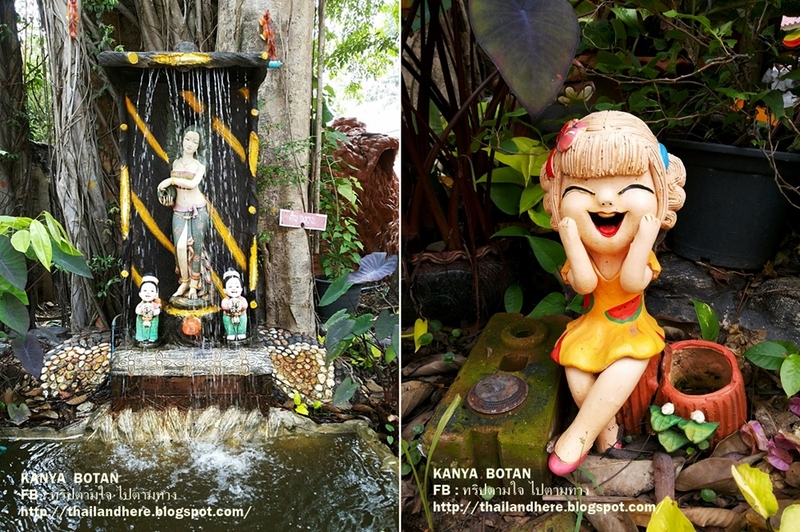 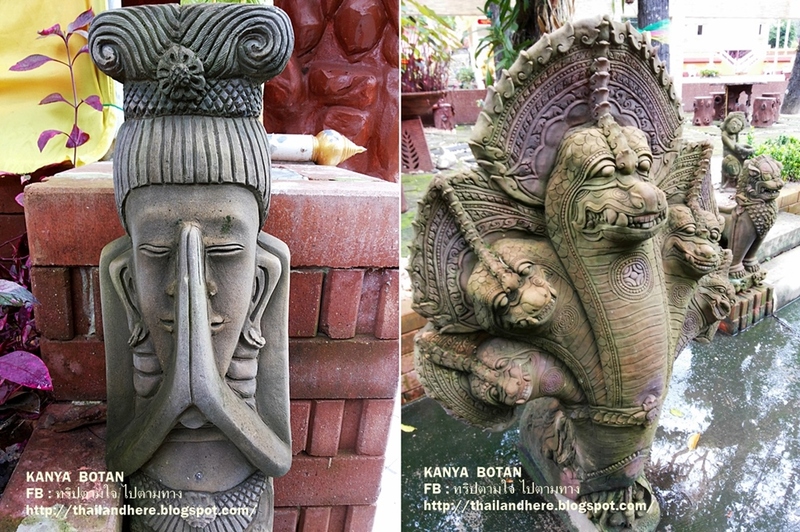 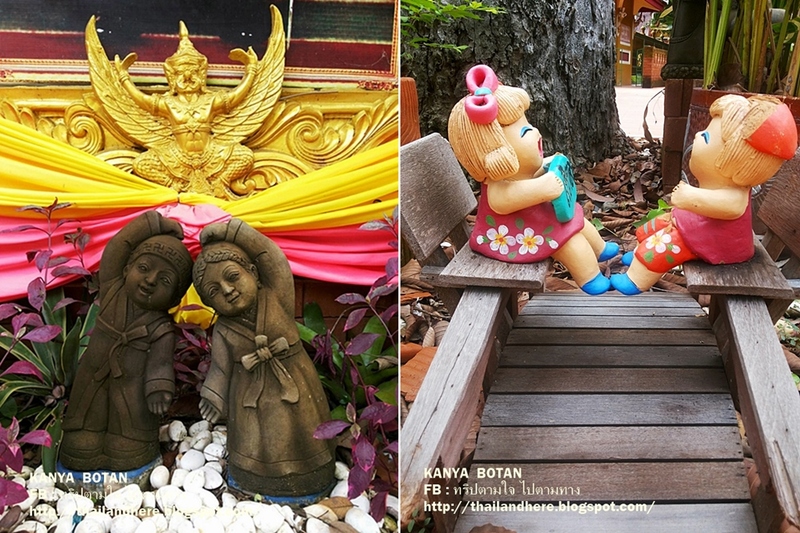 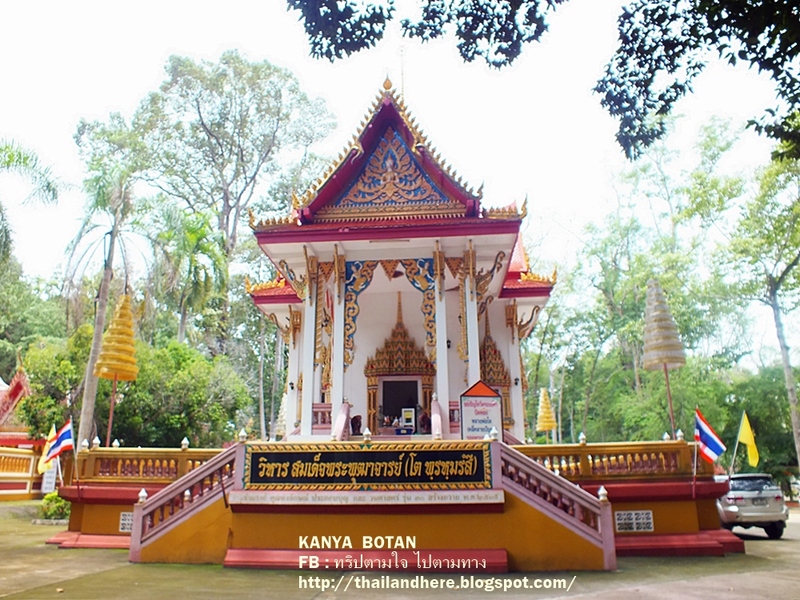 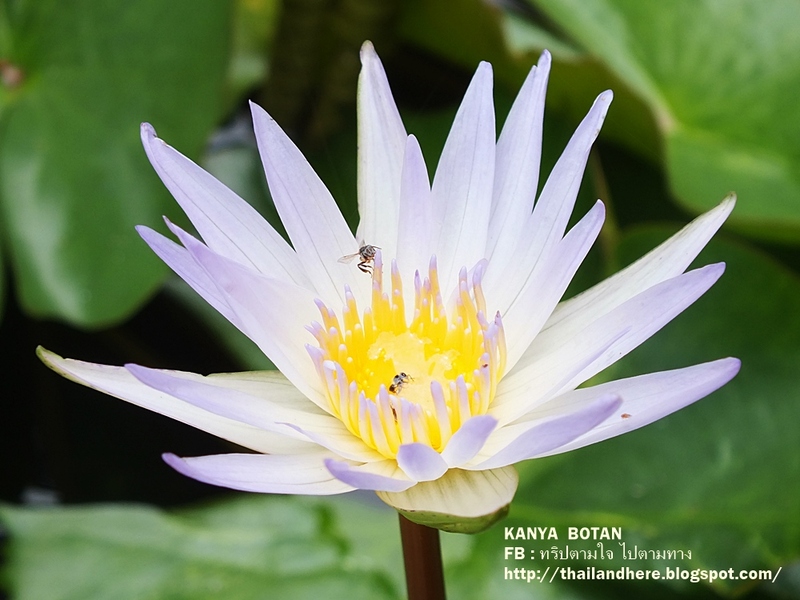 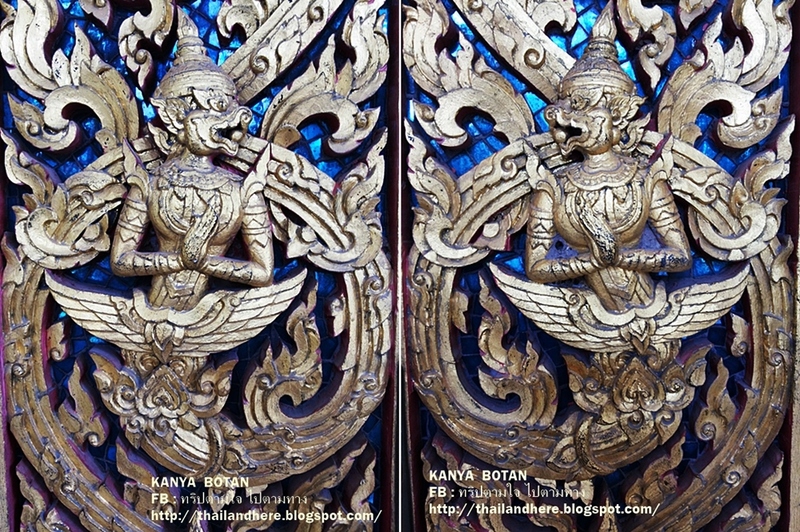 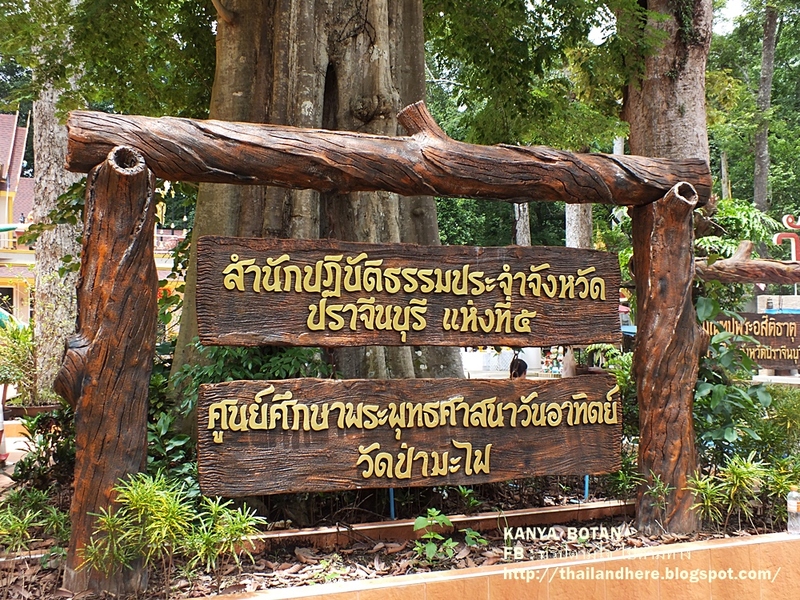 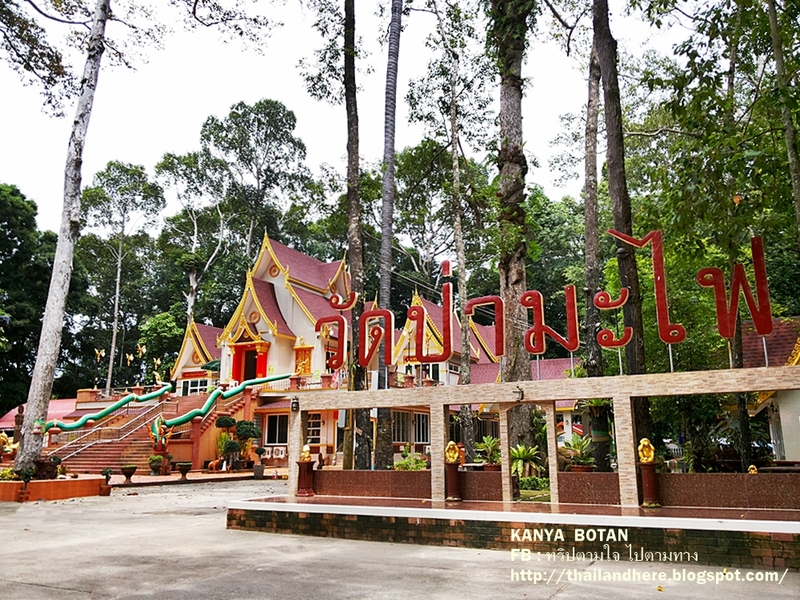 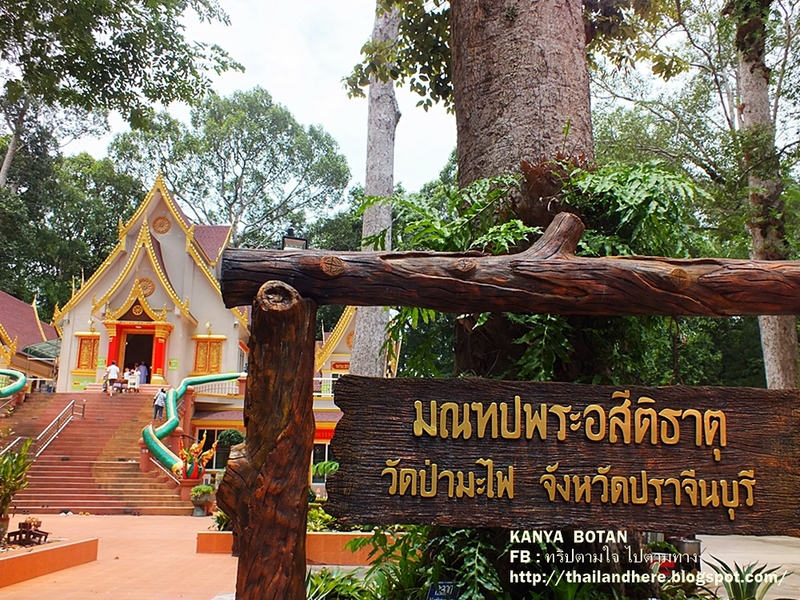 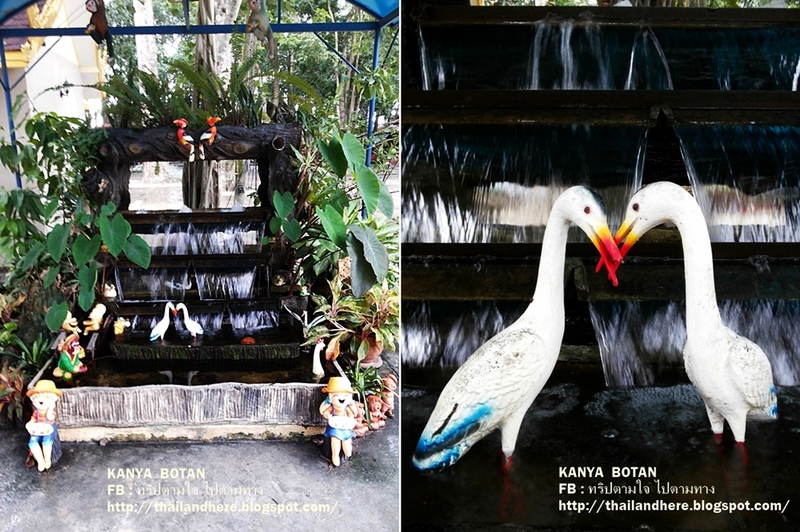 เรียบเรียงโดย BY KANYA BOTAN. 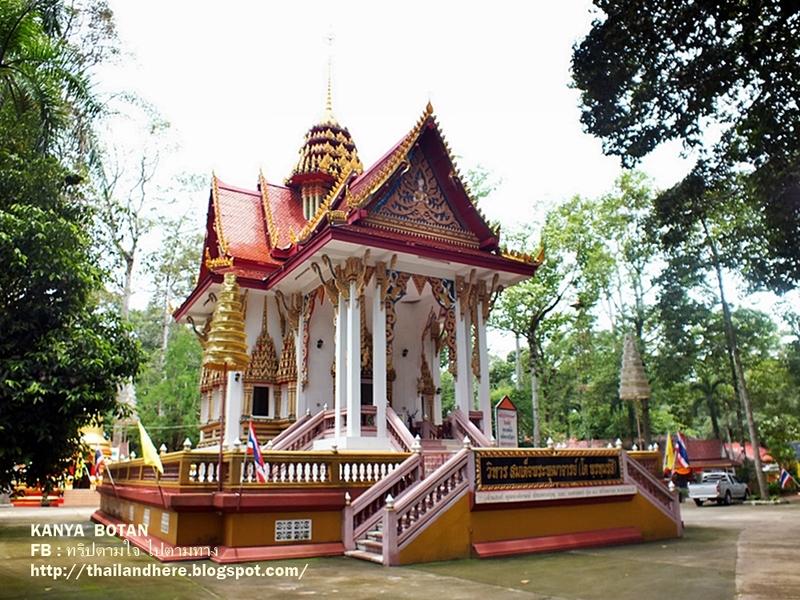 วัดป่ามะไฟ ปราจีนบุรี Wat Pamafai in Prachinburi Thailand. 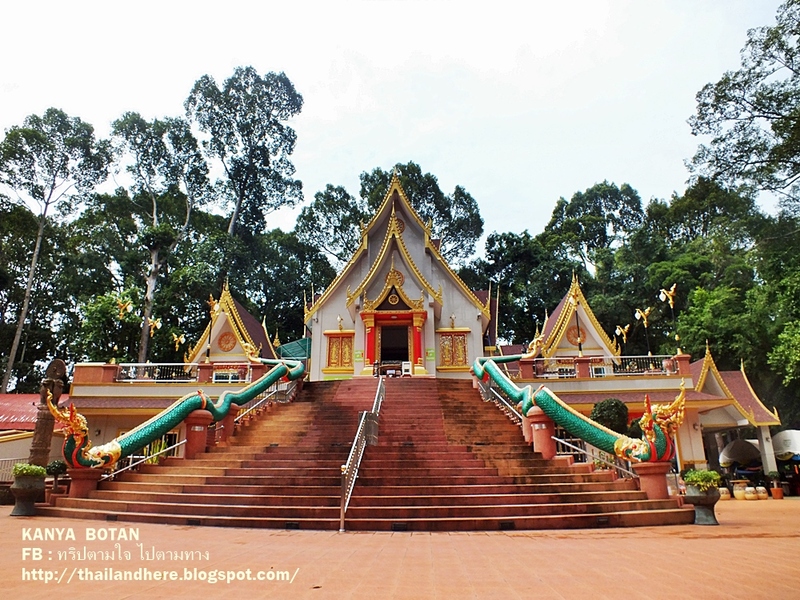 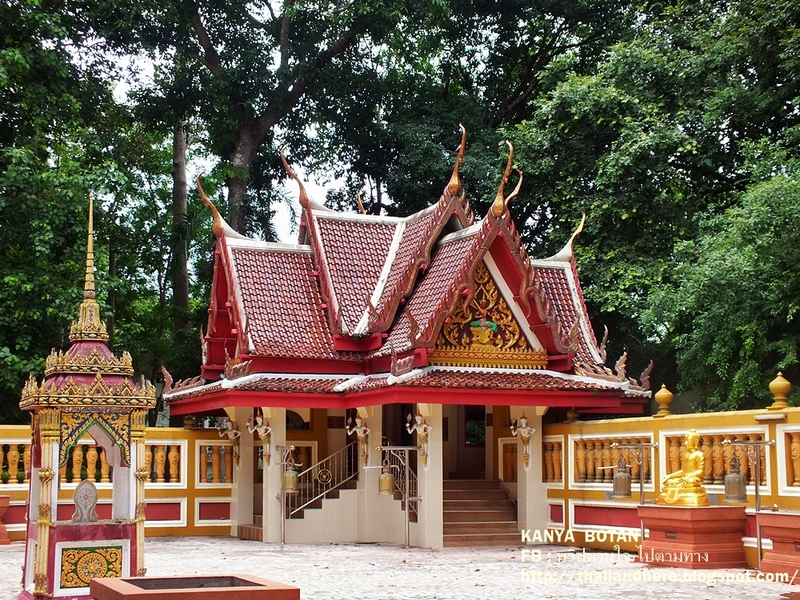 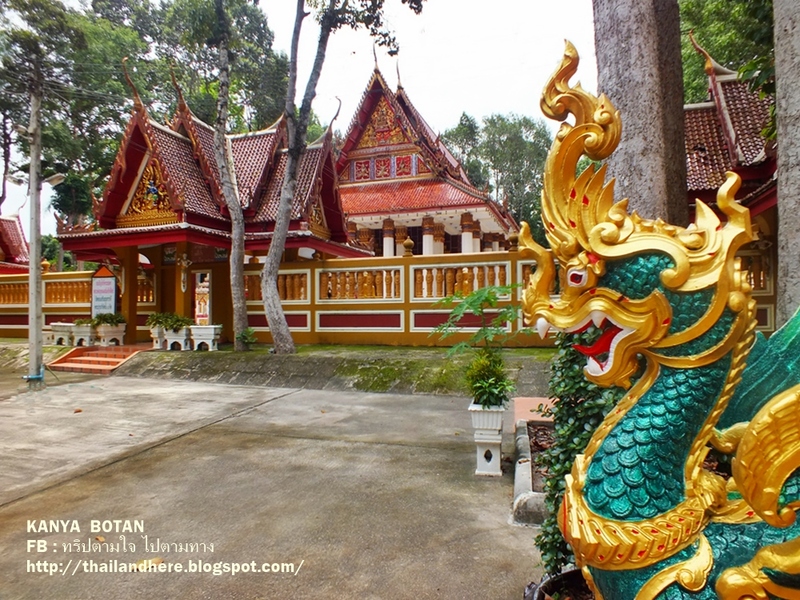 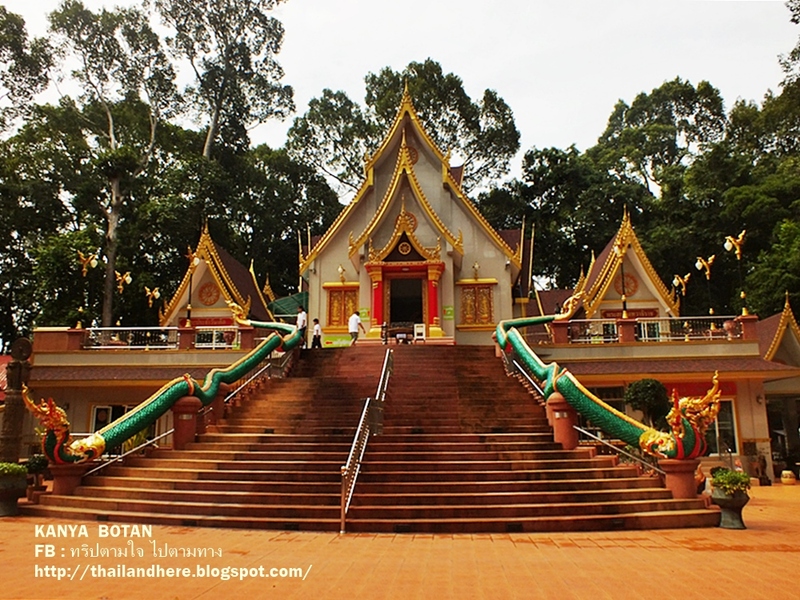 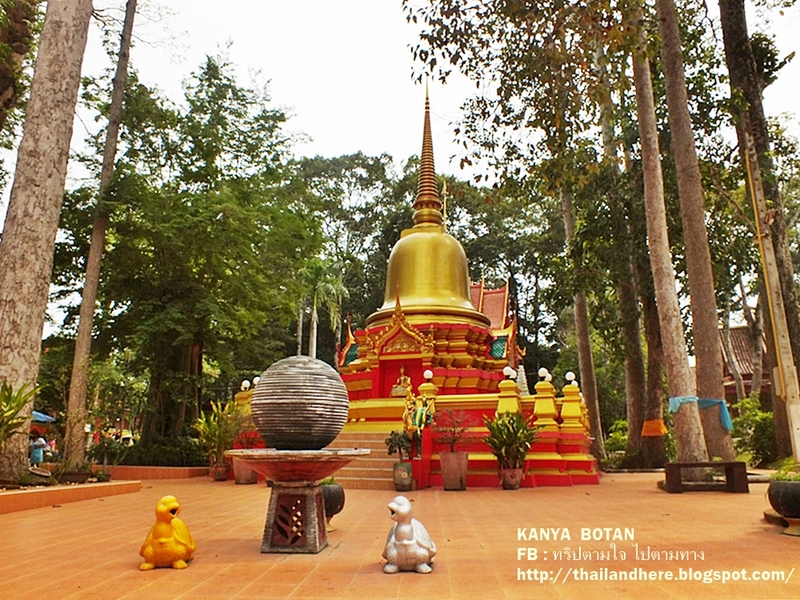 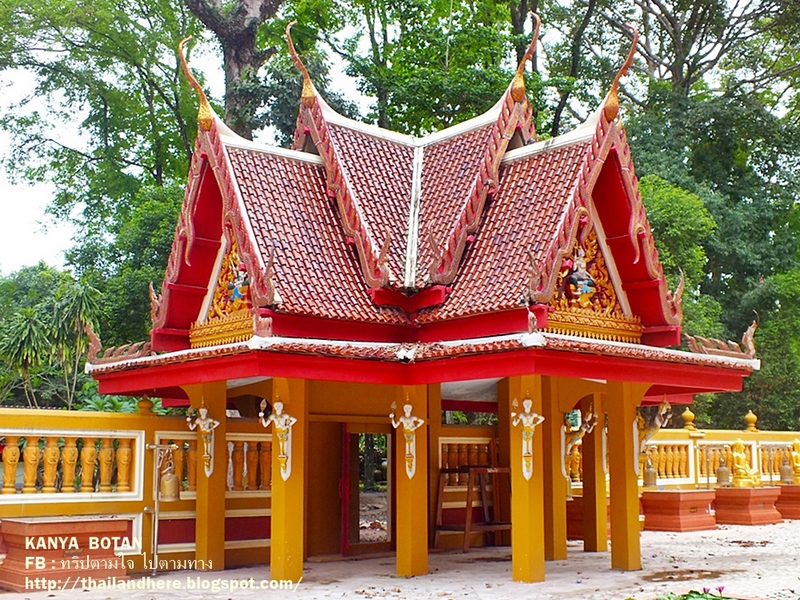 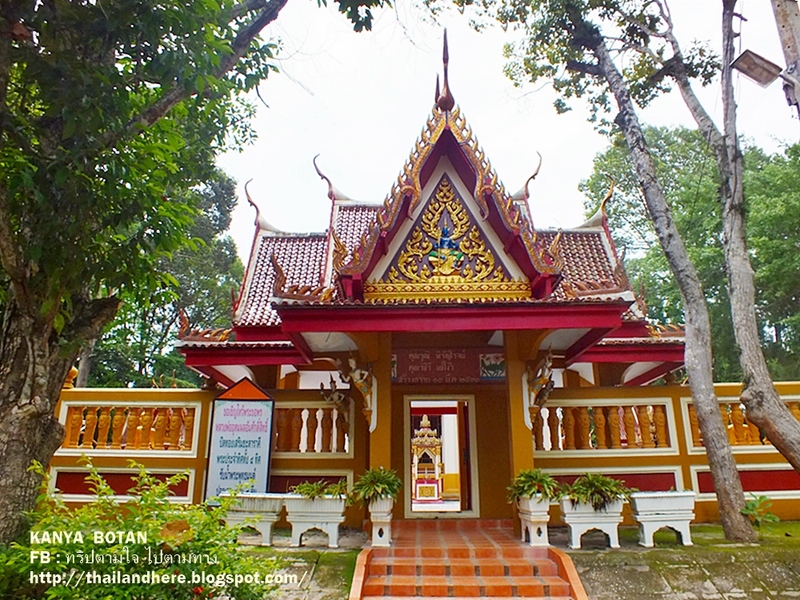 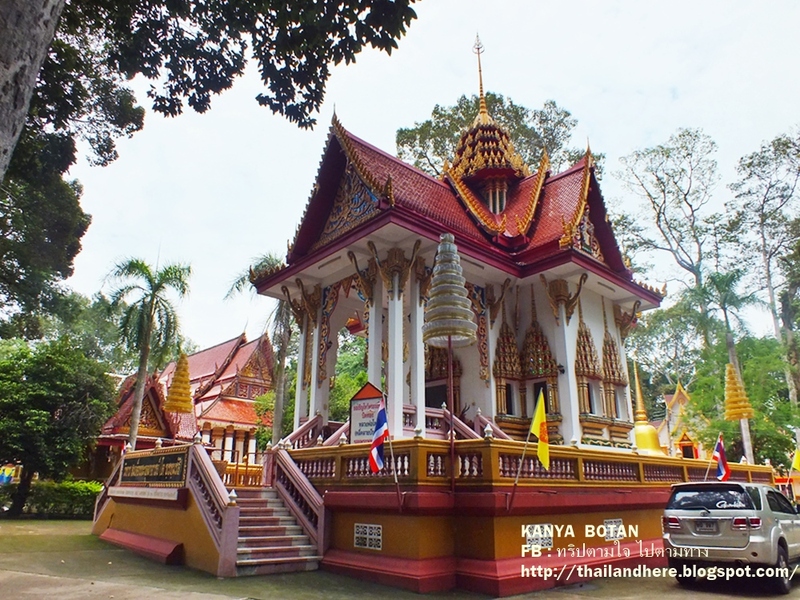 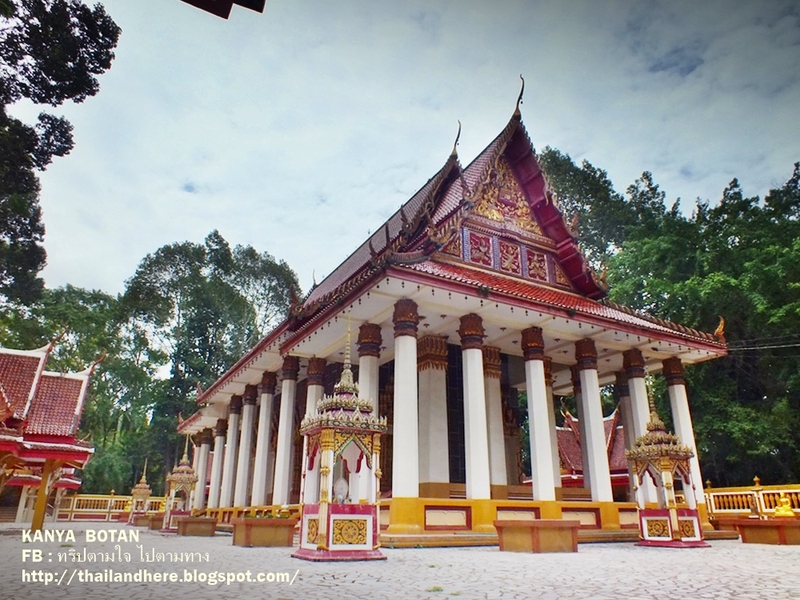 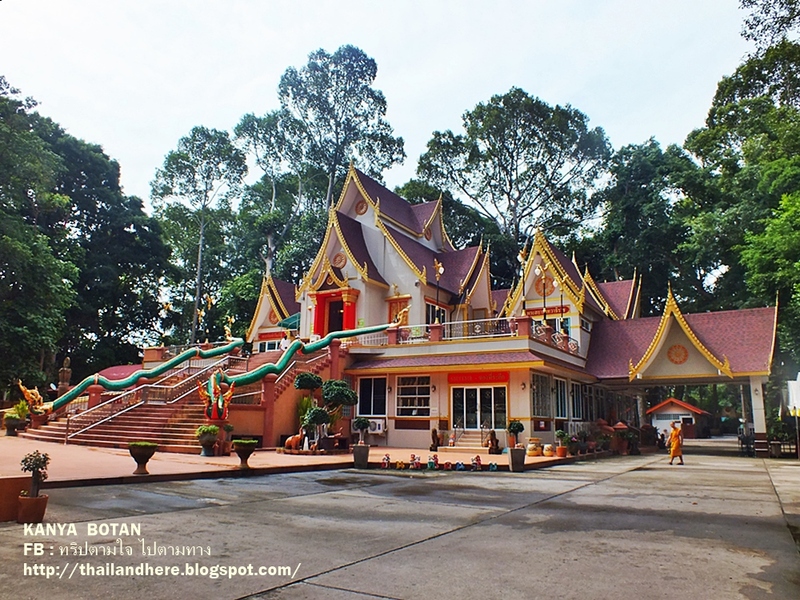 Wat Pamafai is located at Khok Mai Lai subdistrict, Mueang district in Prachinburi province Thailand. 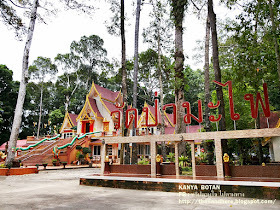 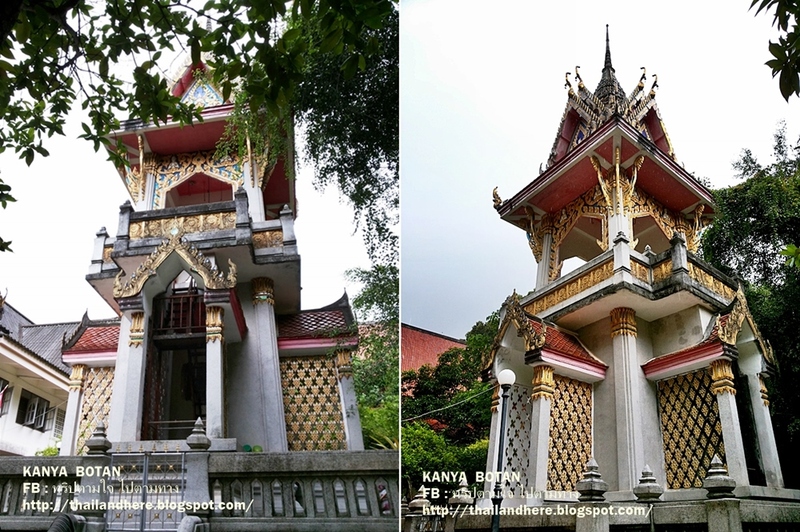 Formerly name was "Wat Udomphol" local people called "Wat Noak" later around year 1944 was changed the name to "Wat Pamafai" because this area have a lot of Mafai trees. Wat Pamafai is 1 of 7 temples are the practices meditation place of Prachinburi province has approved by the Supreme Sangha Council and Excellence the practice meditation 5th place of year 2009 of Prachinburi province. 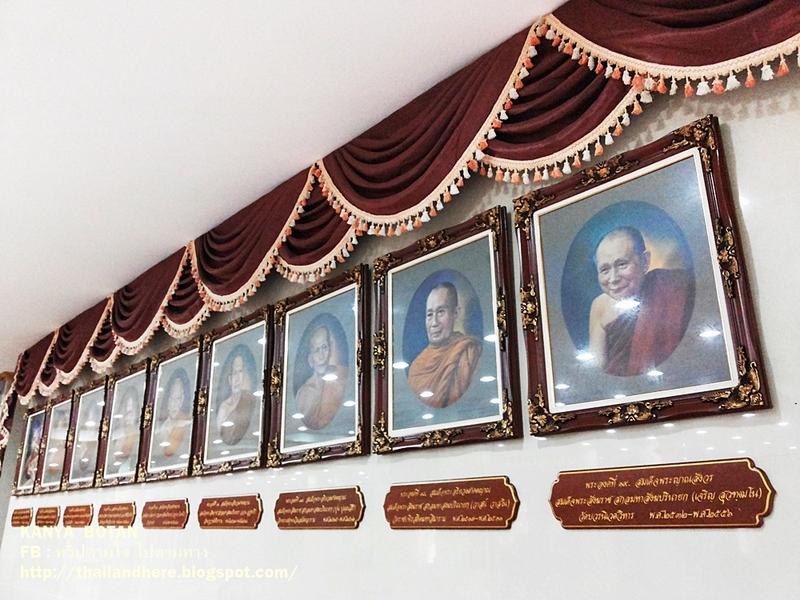 By Phra Kru Phaowana Thamtaree an age 54 years, 29 years of monk with academic standing theologian Doctoral, current he is vice a primate Muang Prachinburi and an abbot of Wat Pamafai. 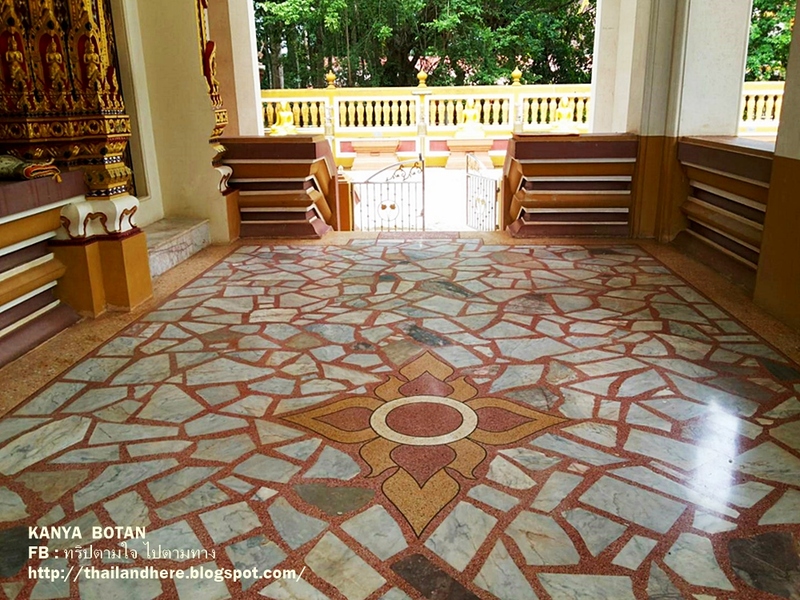 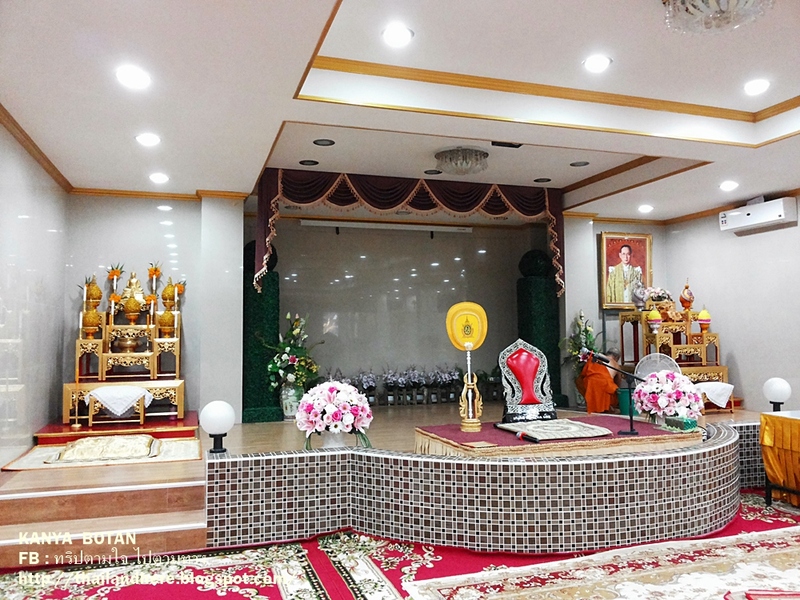 Have 2 meditation halls and living room of 2 building, can accommodate who want to do meditation for 300 people. 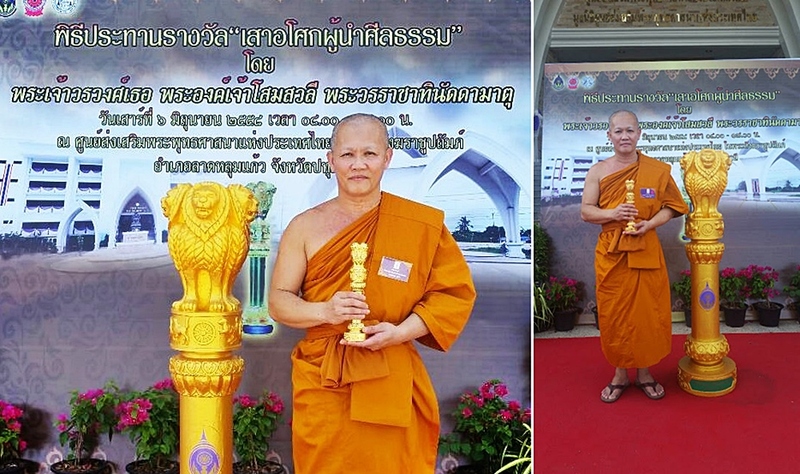 Wat Pamafai was awarded "Ashoka pillars of moral leadership" on June 6, 2015. 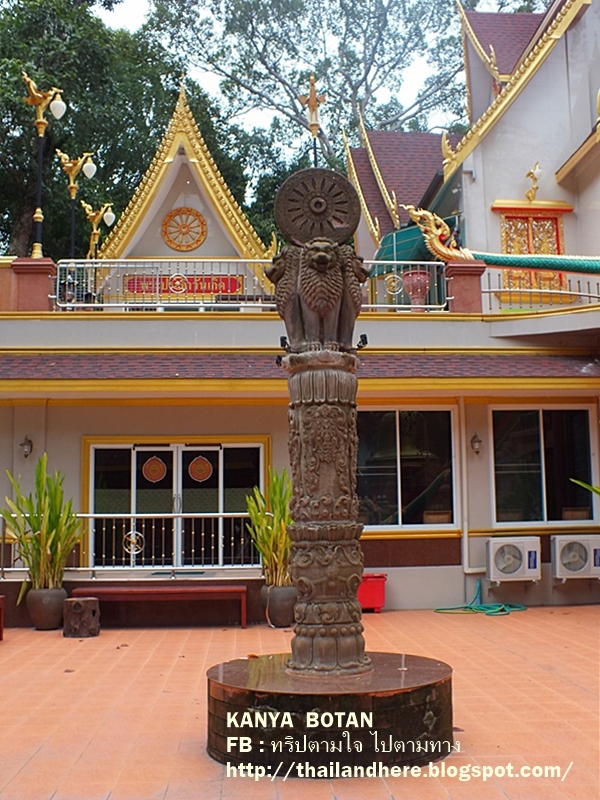 It is a golden pillar under the concept, Ashoka pillar is a sign of the prosperity of the Buddhism. 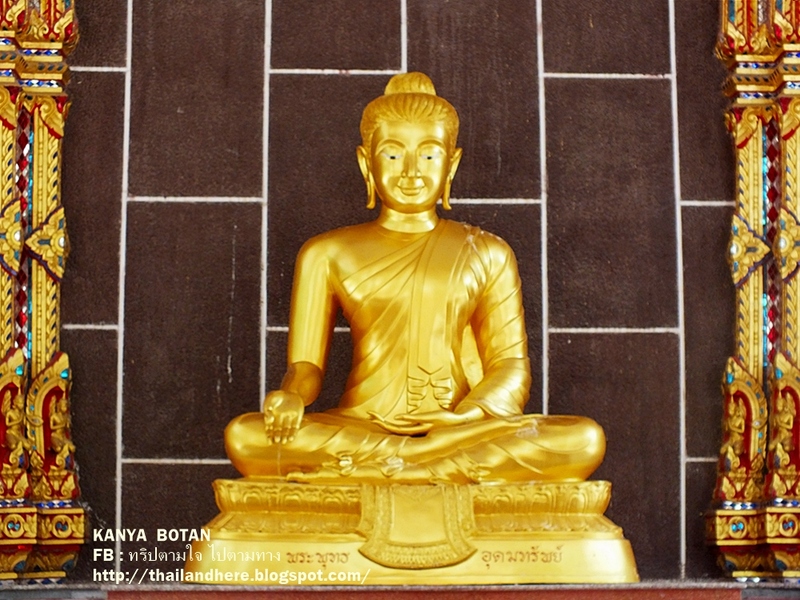 And those who do beneficial to Buddhism so was called. 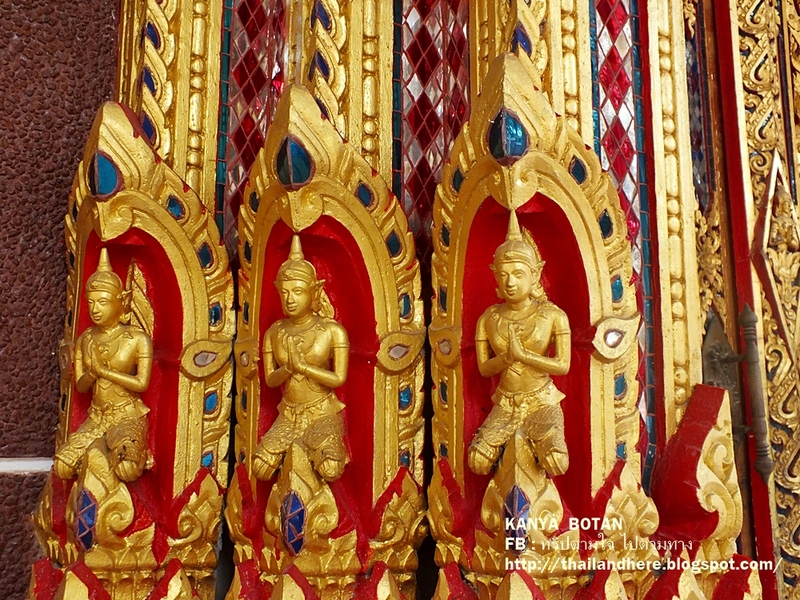 "Pillars of Buddhism". 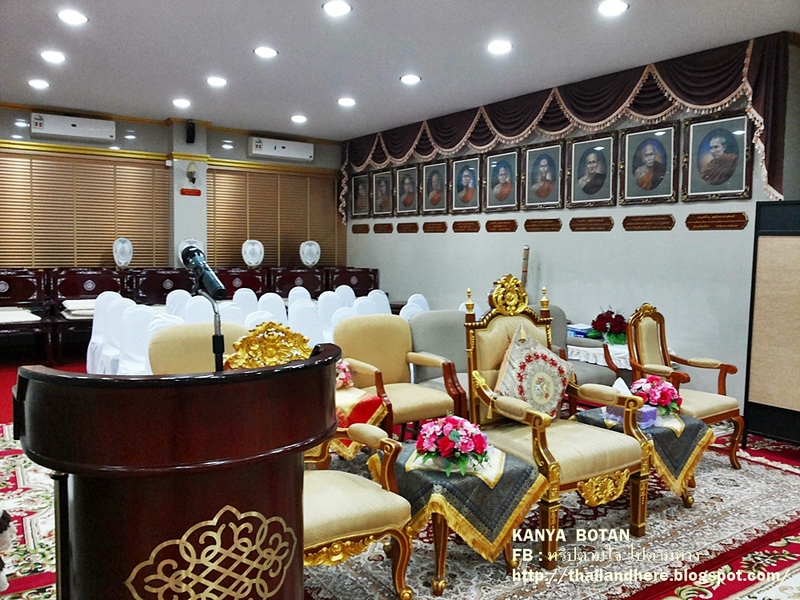 The current the award ceremony held at the Center for Promotion of Buddhism is located at Namai subdistrict, Mueang district in Pathumtani province Thailand. 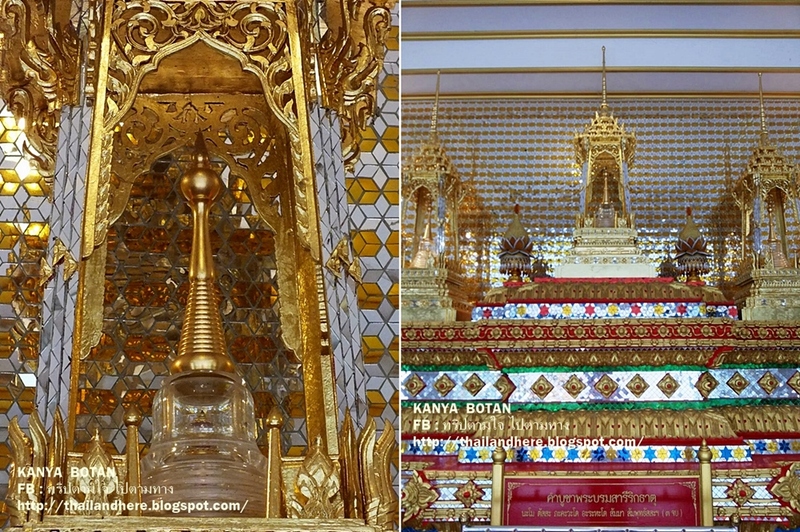 In Visakha Bucha Festival of every year with Her Royal Highness Princess Soamsavali came to be The President. 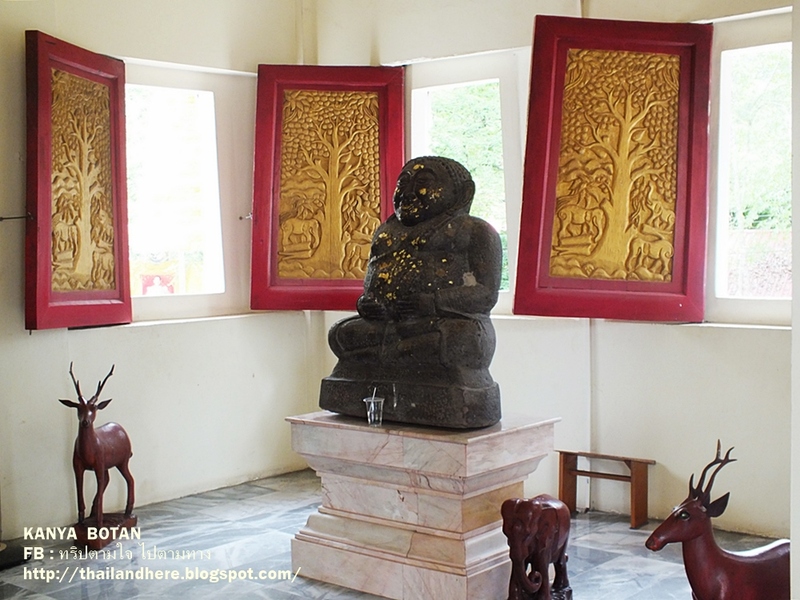 "Ashoka pillar of moral leadership" by simulating scale down of a monolithic of Ashoka the Great of India. 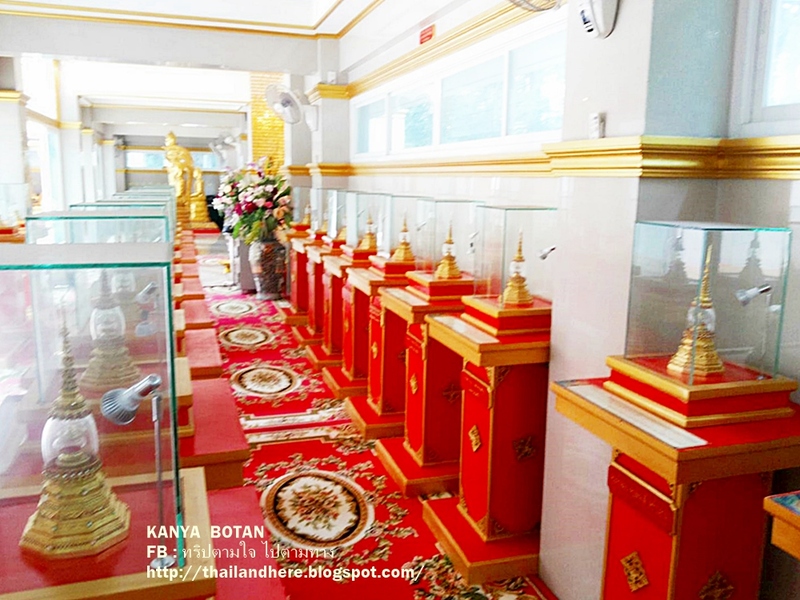 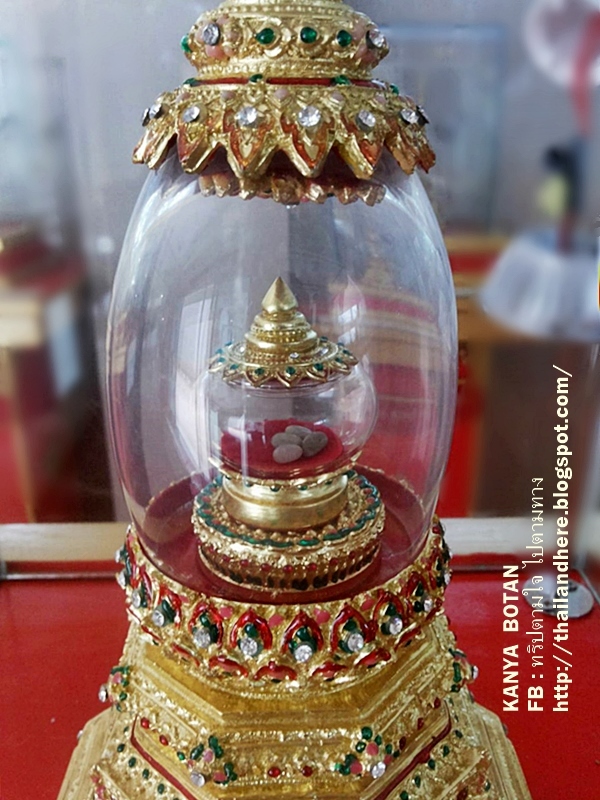 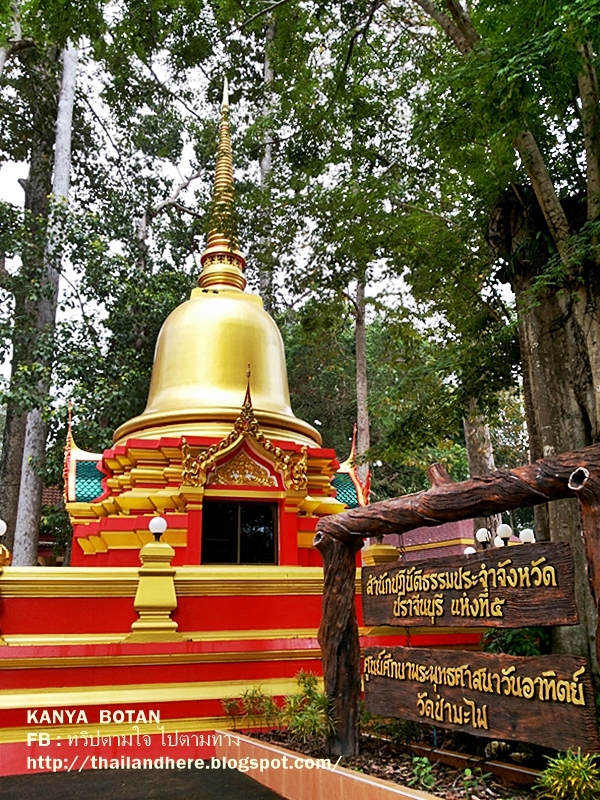 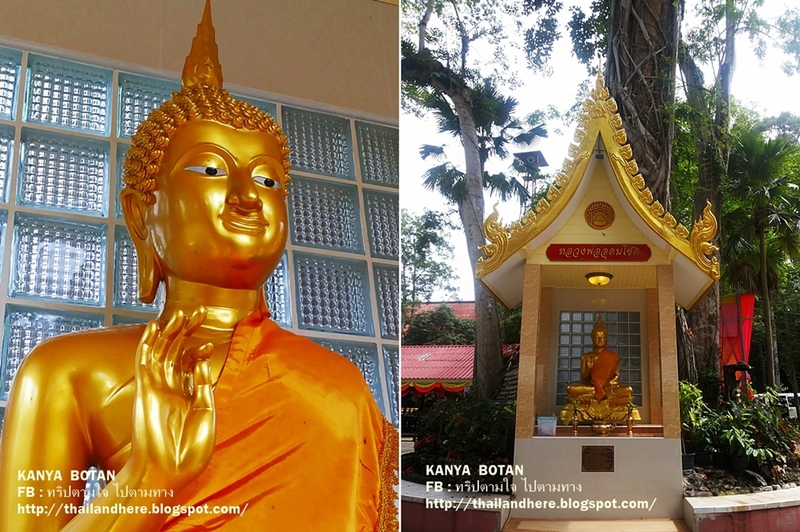 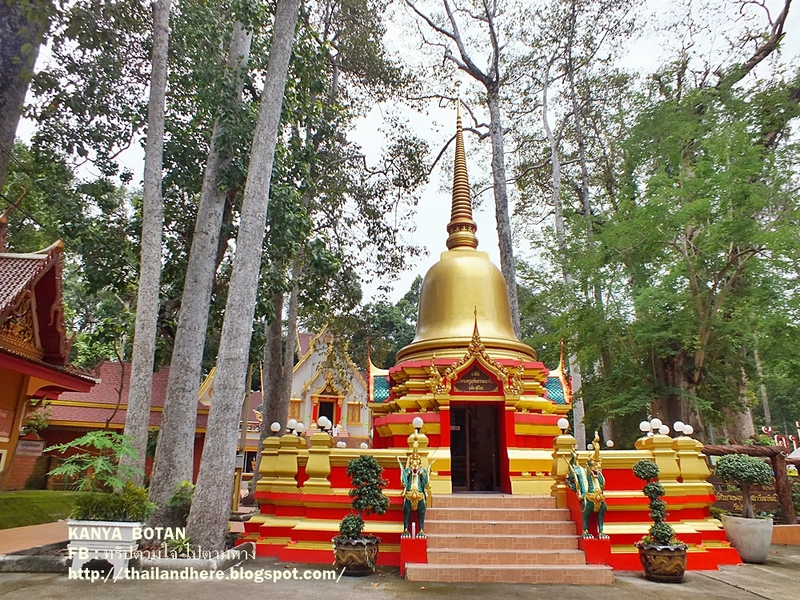 He has built dedicated as a Buddhist altar unto the Lord Buddha. 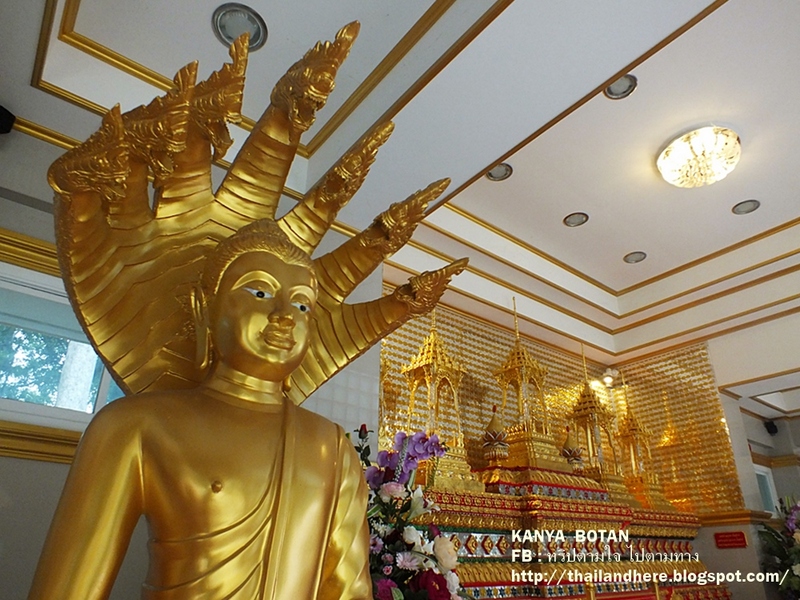 And specifies the important location of Buddhism. 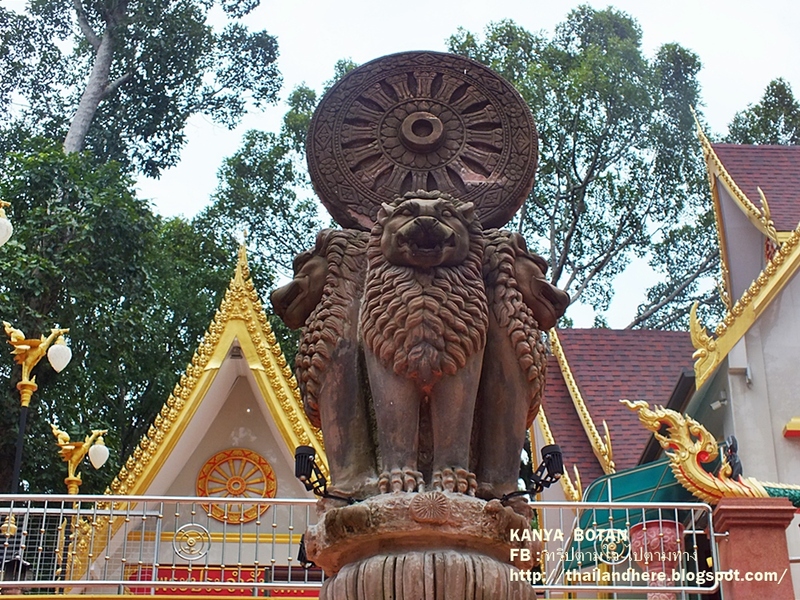 The lion head as a symbol as the preaching of the Lord Buddha. 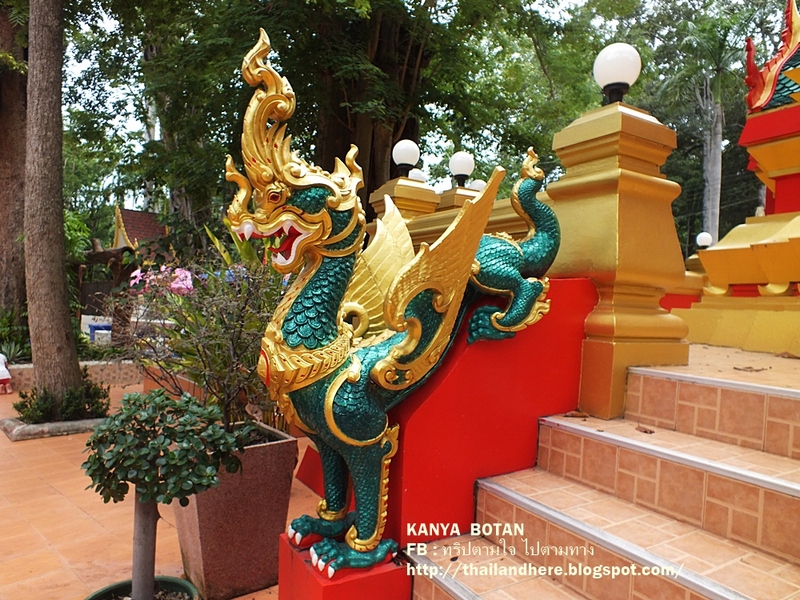 The bravado like a lion and far-reaching as the roar of a lion. 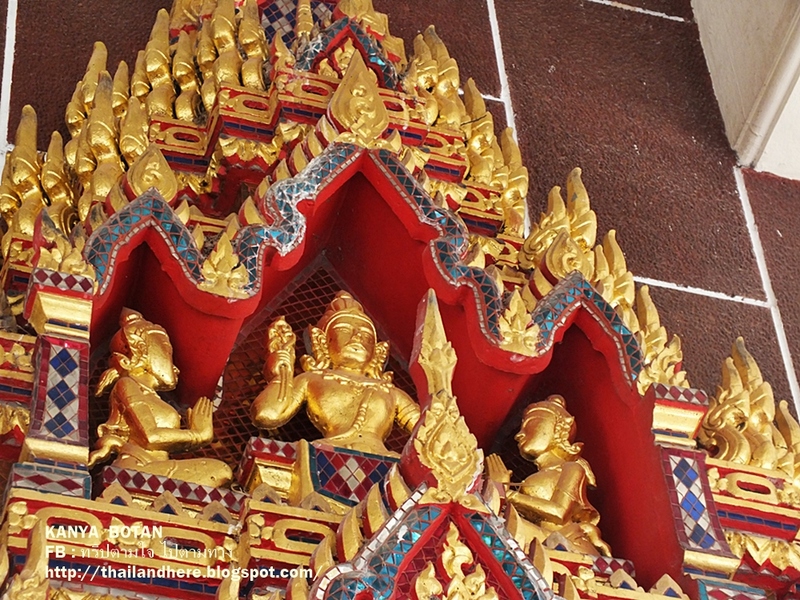 Top of Mondop Phra Asitithat Hall is enshrined a main Buddha statue of the Mondop. 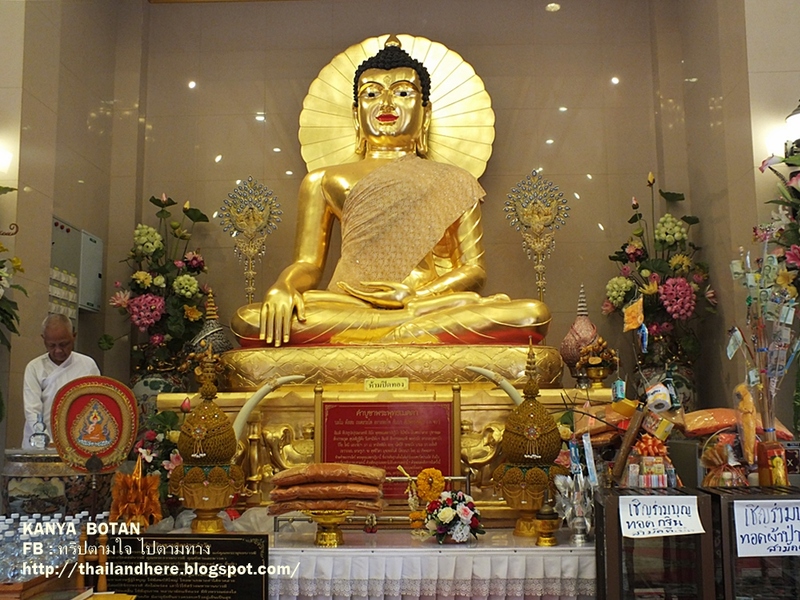 The building next is enshrined of the statue Phra Siam Thewa-Thirat an idow is standing wear dress King. 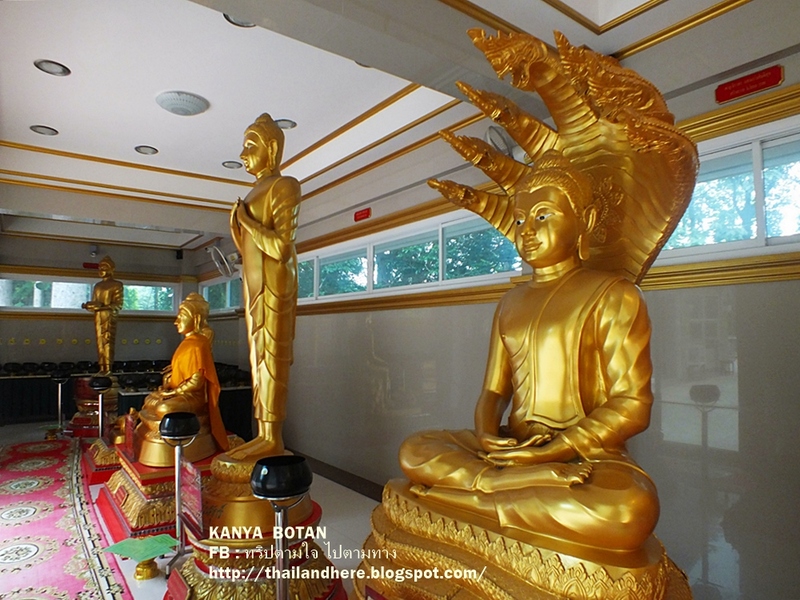 Various Buddha relics and statues of Buddha in various postures. 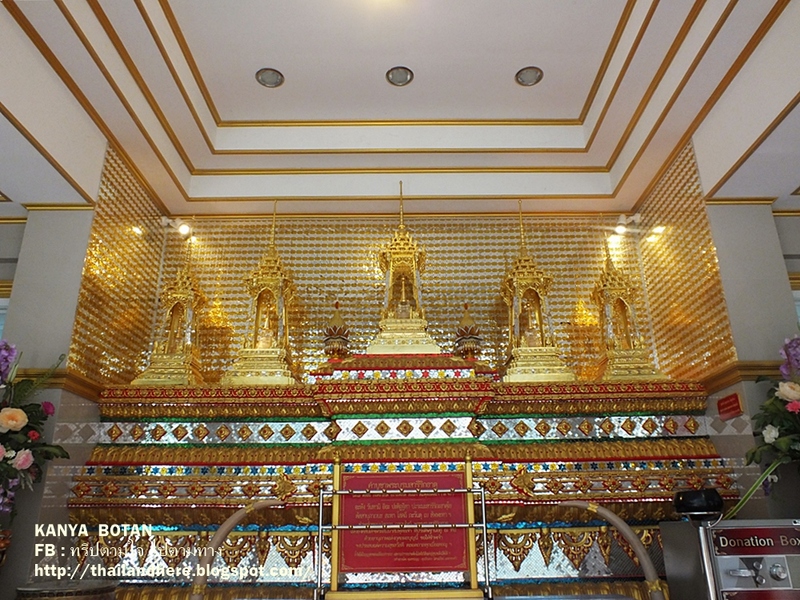 Inside under ground of Mondop Phra Asitithat Hall is activity room such as chanting, meditation and list of Patriarchs of Thailand, on the wall. 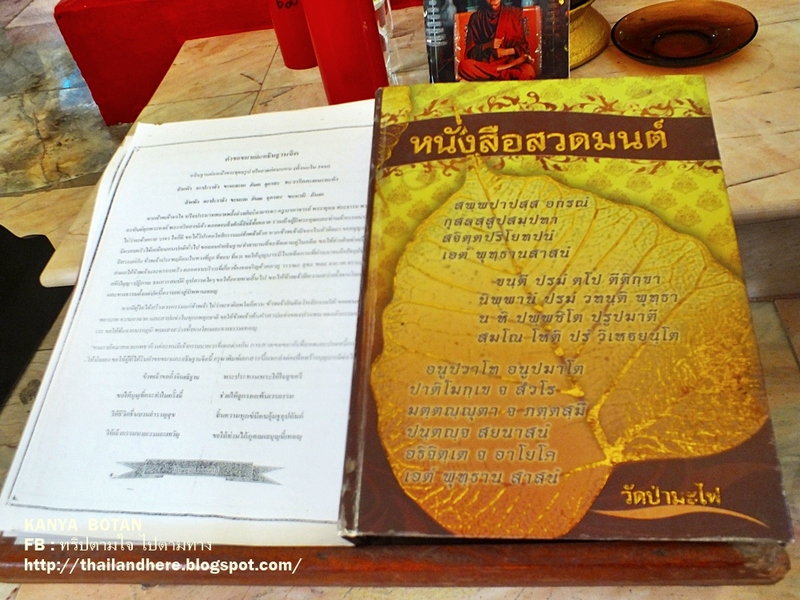 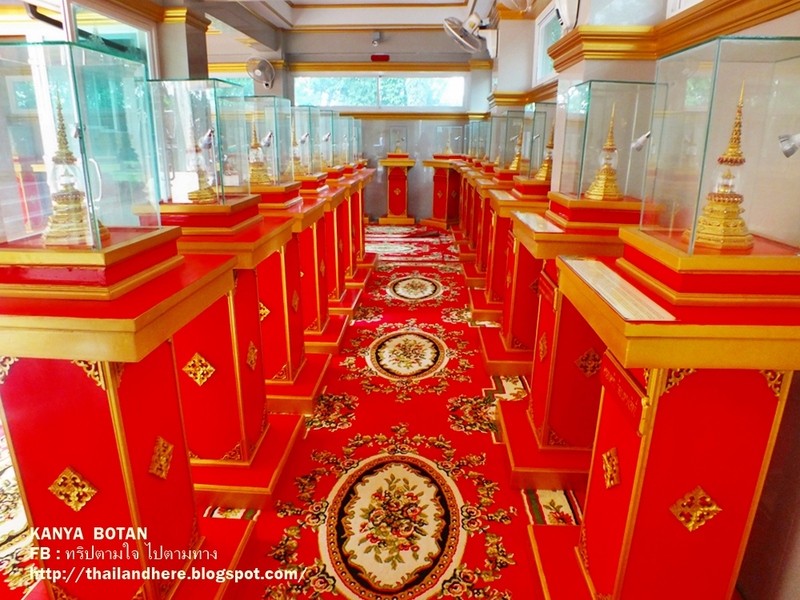 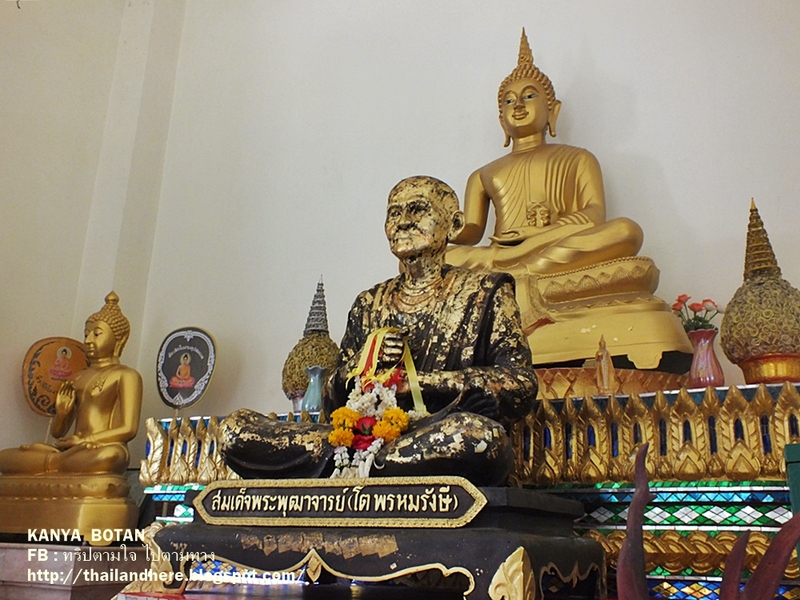 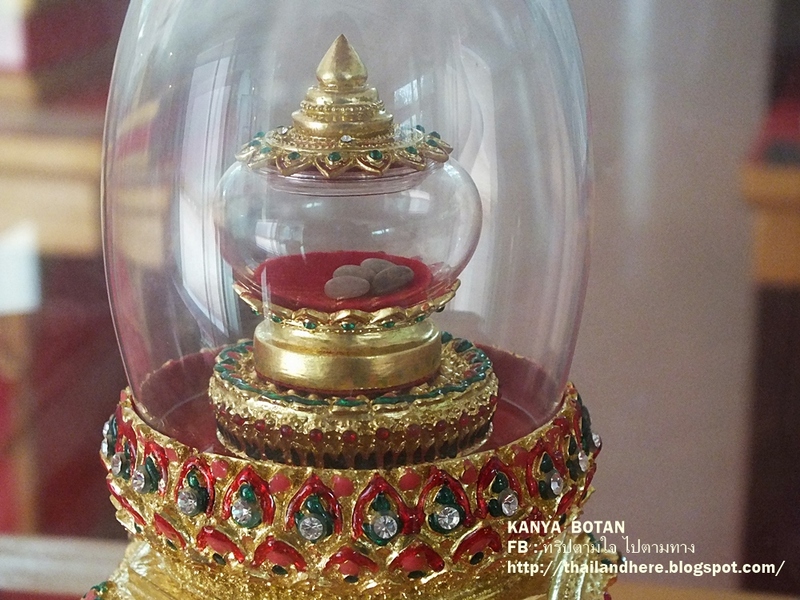 Awards for Phra Kru Phaowana Thamtaree is present abbot of Wat Pamafai has ever been. 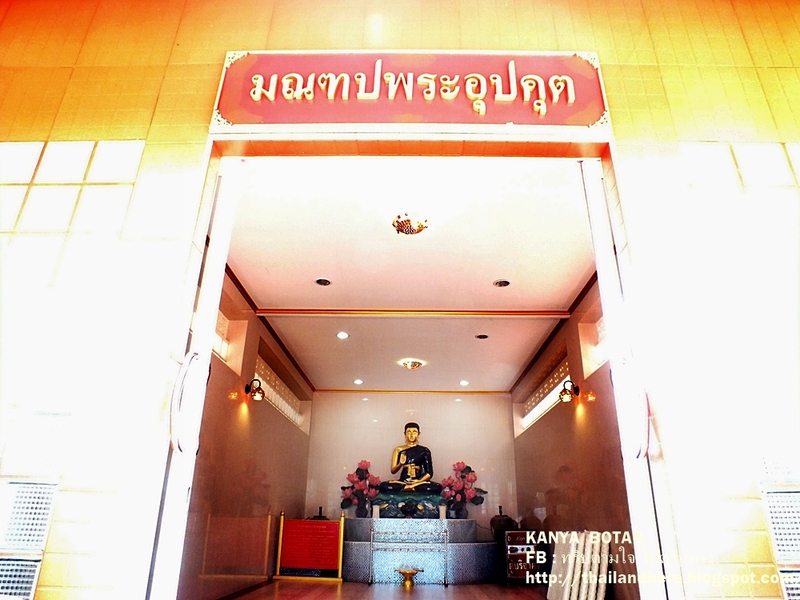 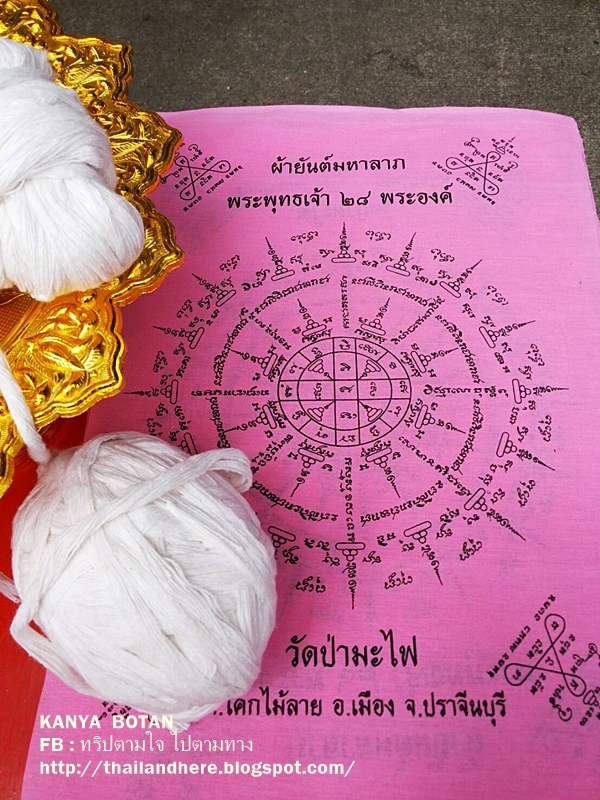 - Benefits to the Buddhism, branch promoting the practices (SEMA Thammachak) Award of the year 2006. 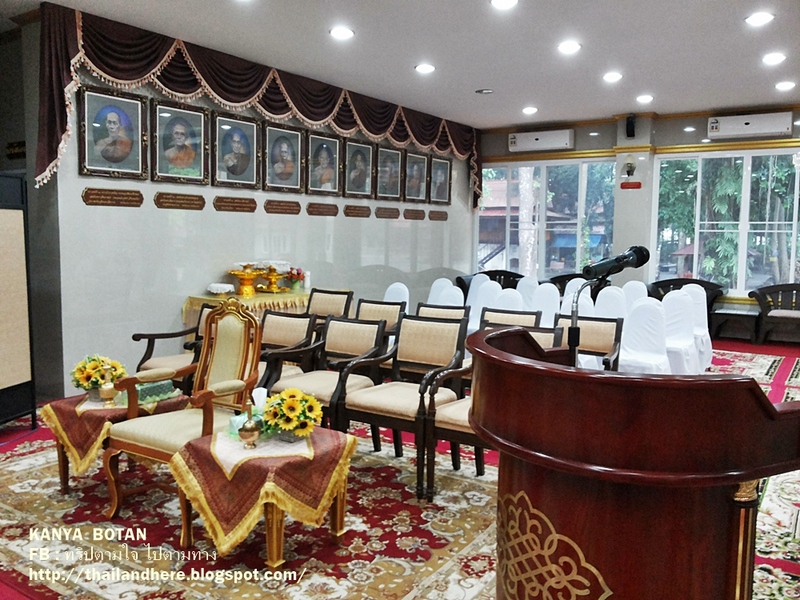 - Bureau practices meditation to excellence of province to Commemoration of King Award of the year 2009. 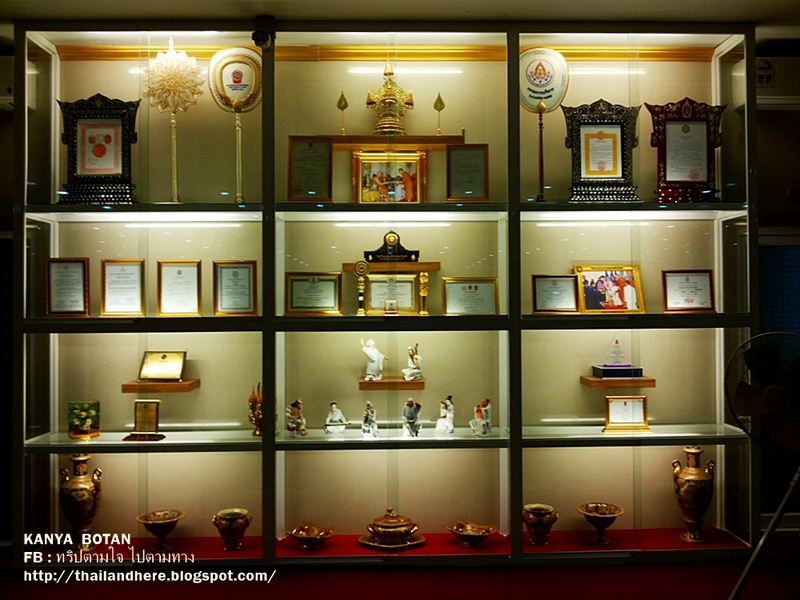 - Benefits to The Ministry of Culture of the country (the religion) Award of the year 2011. 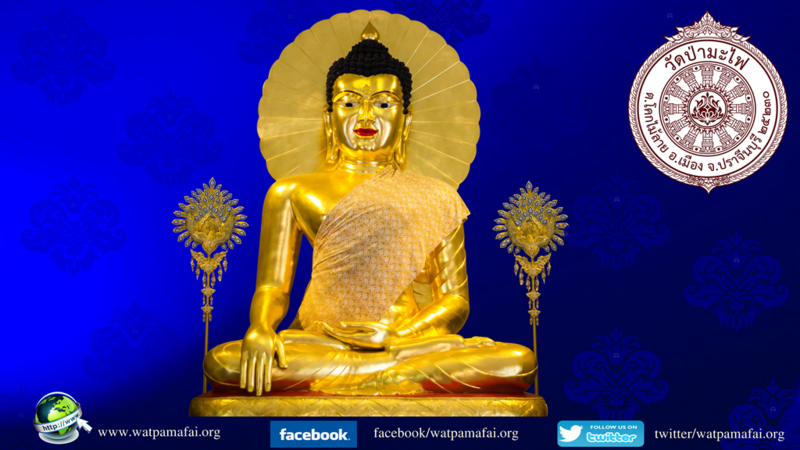 - Ashoka pillars of moral leadership of the National Buddhism Award of the year 2015. 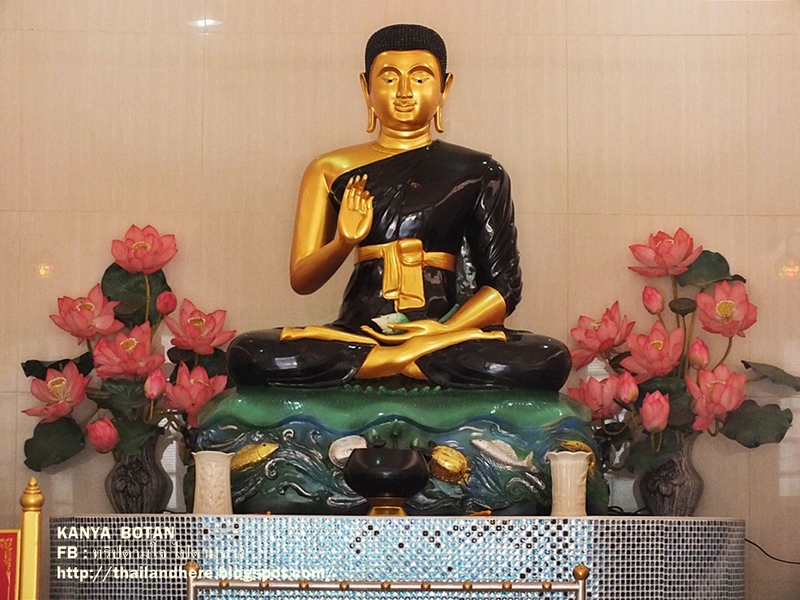 A statue of Buddha covered with real gold. 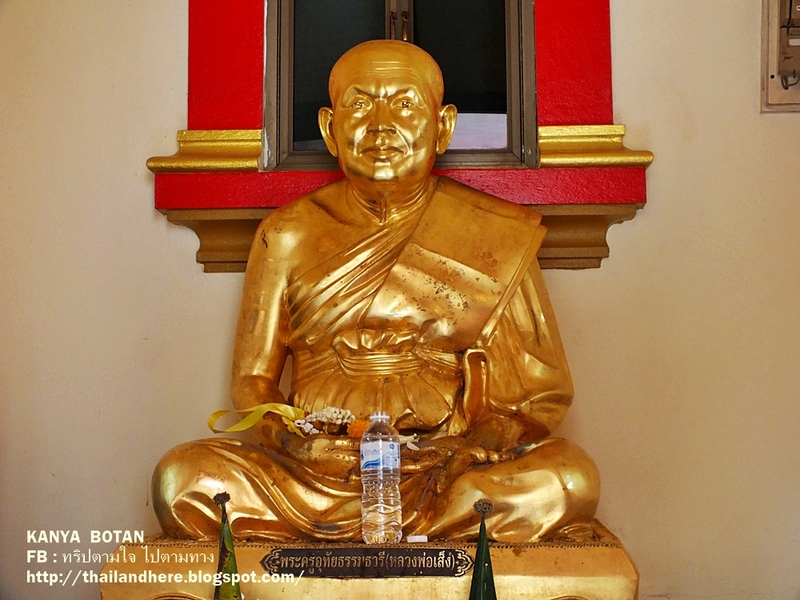 Pagoda of Luang Phor Seng a monk who was abbot of temple. 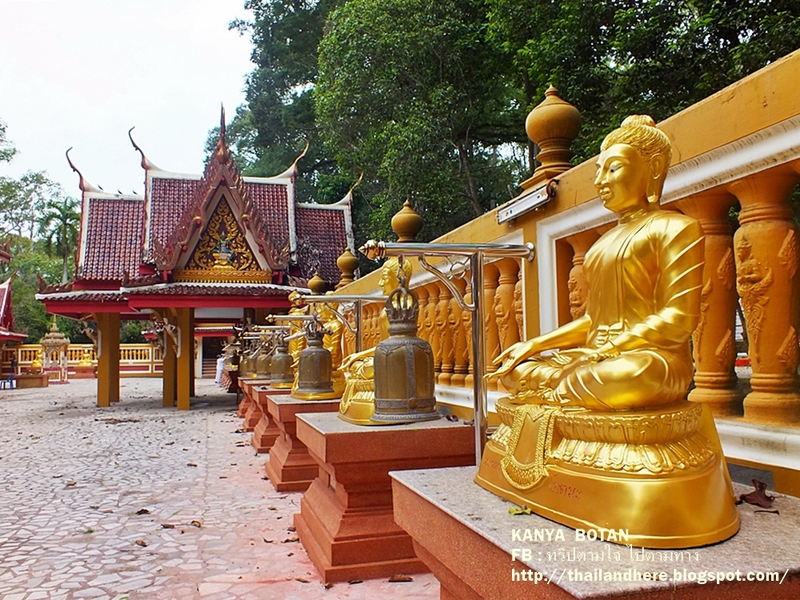 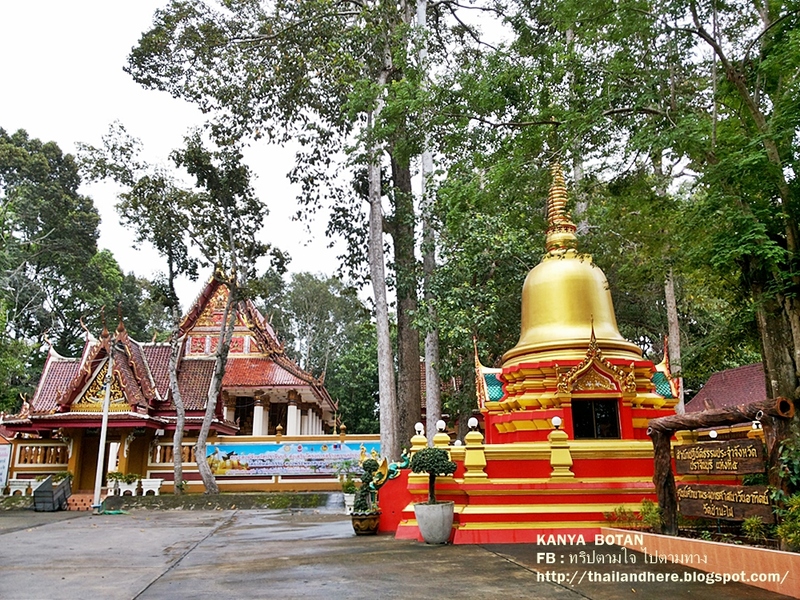 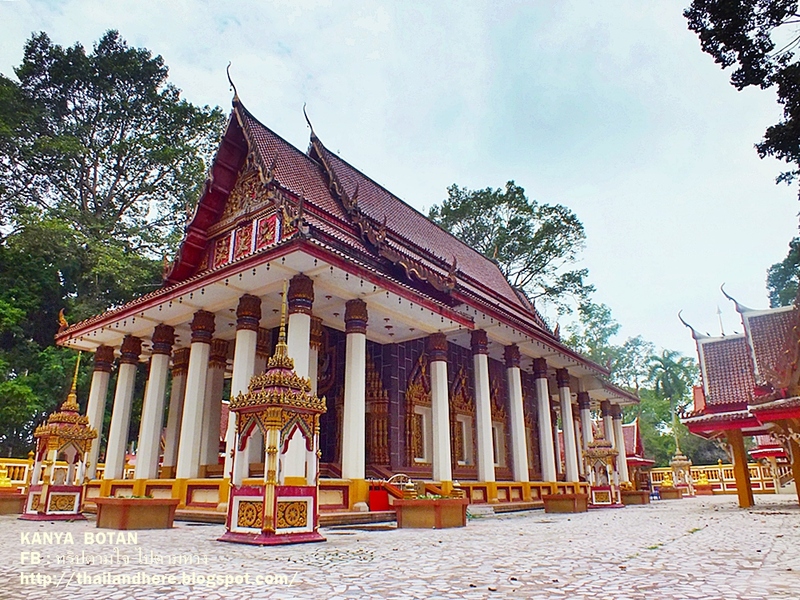 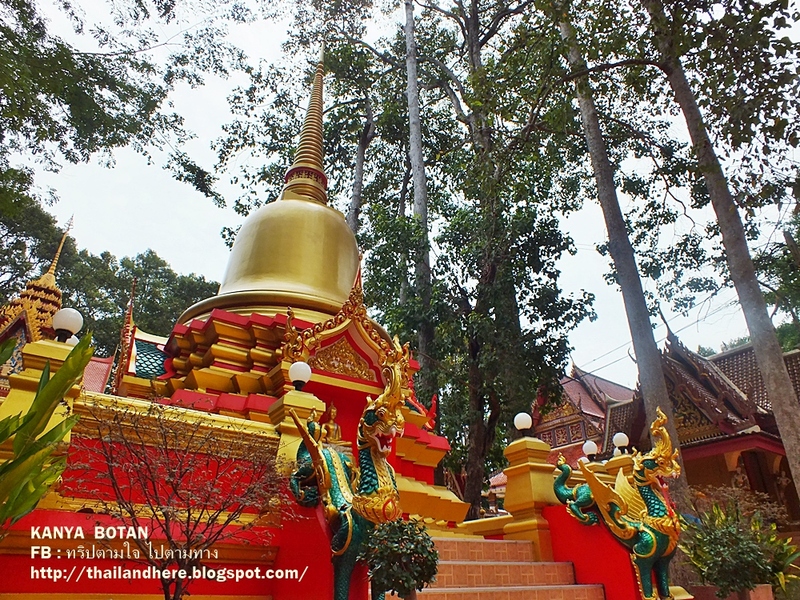 Wat Pamafai was assumed built about 600 years ago. 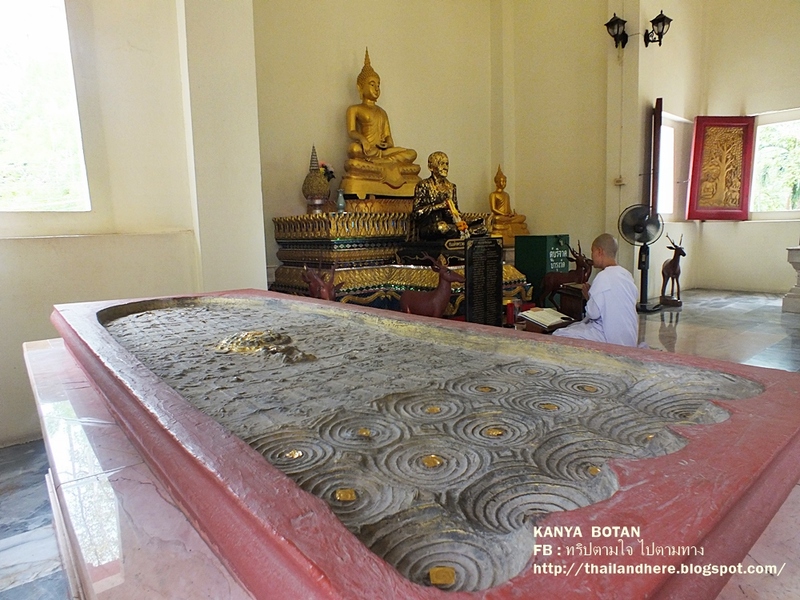 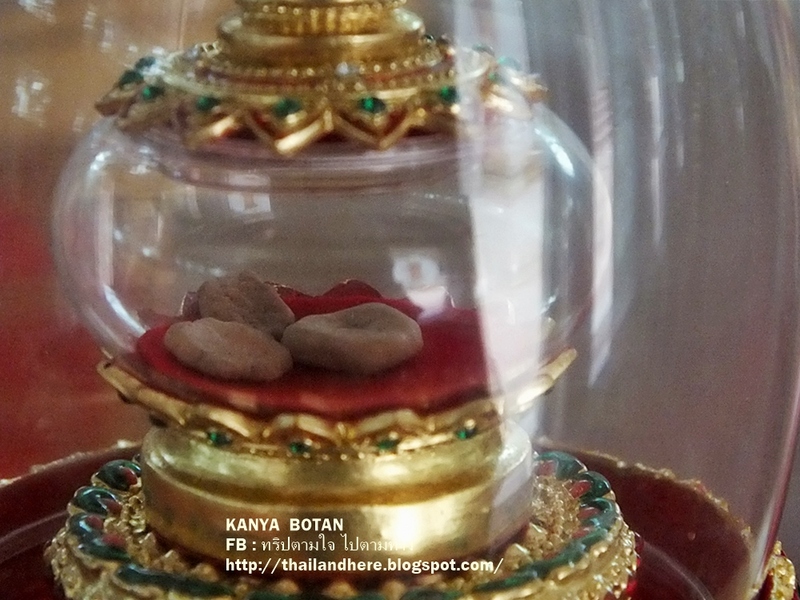 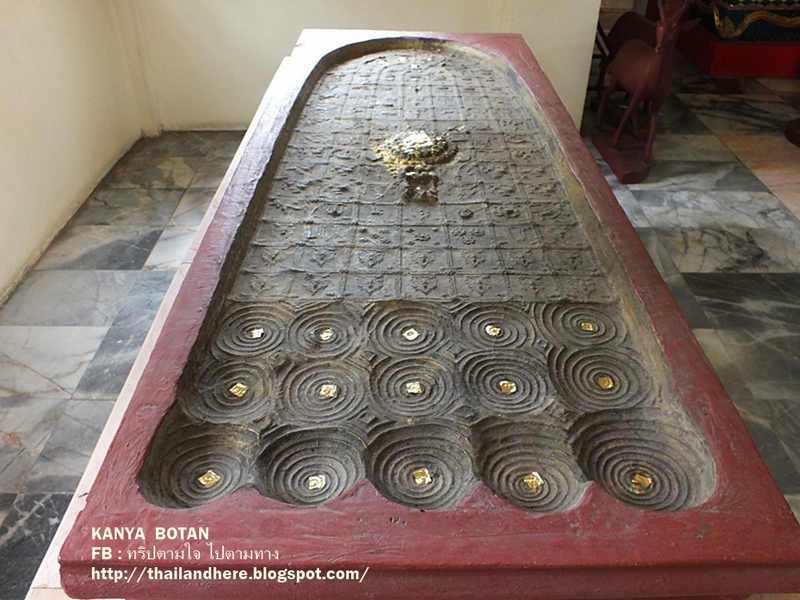 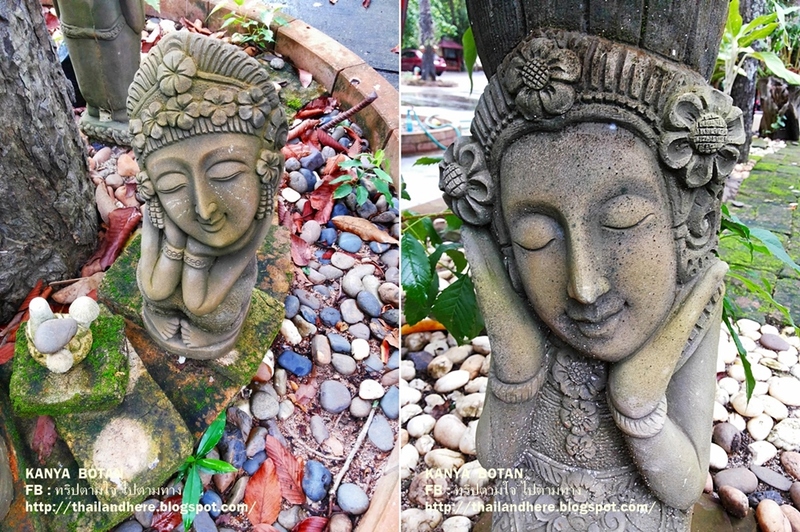 From evidence found the chapel wall and parts of a sandstone Buddha statue look like at Wat Phutthaisawan in Ayutthaya province which was built in the reign of U Thong King. 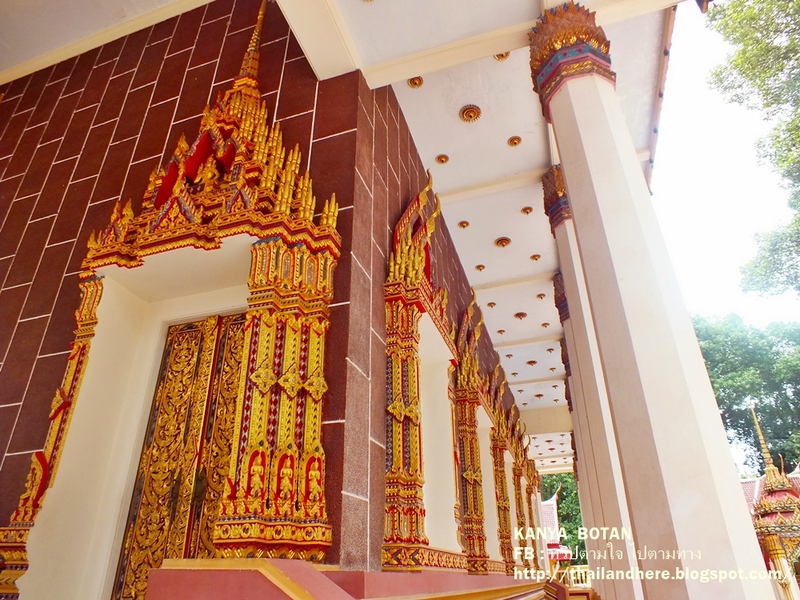 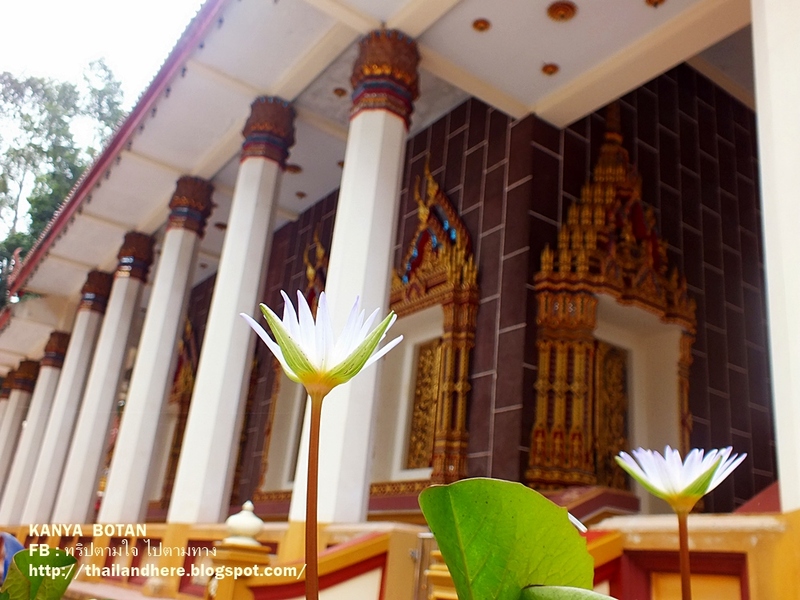 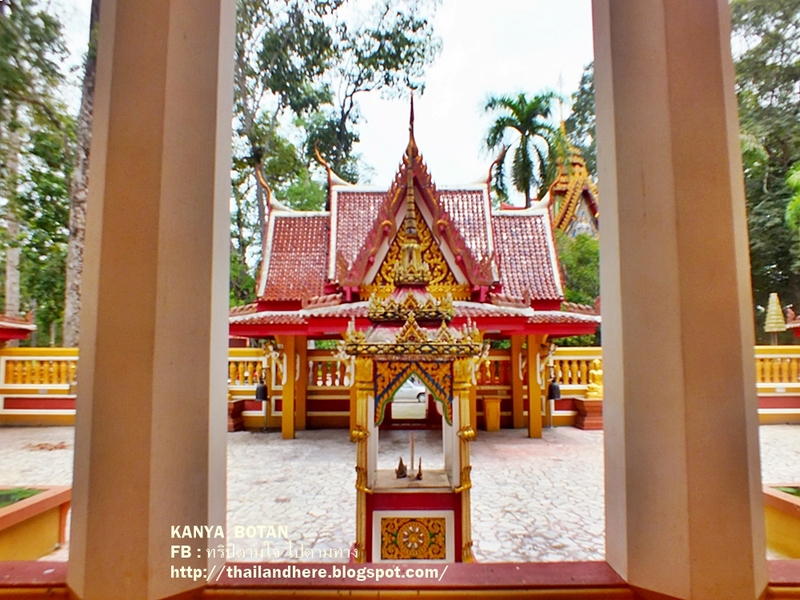 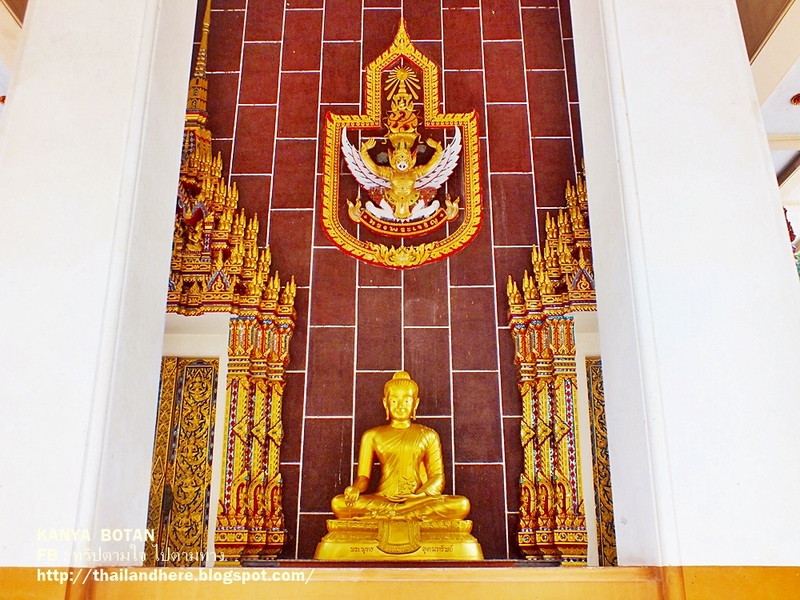 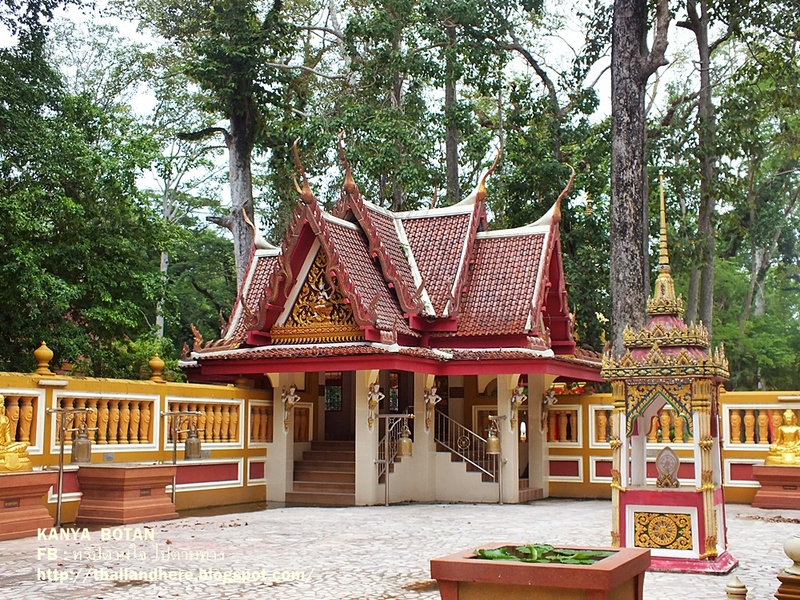 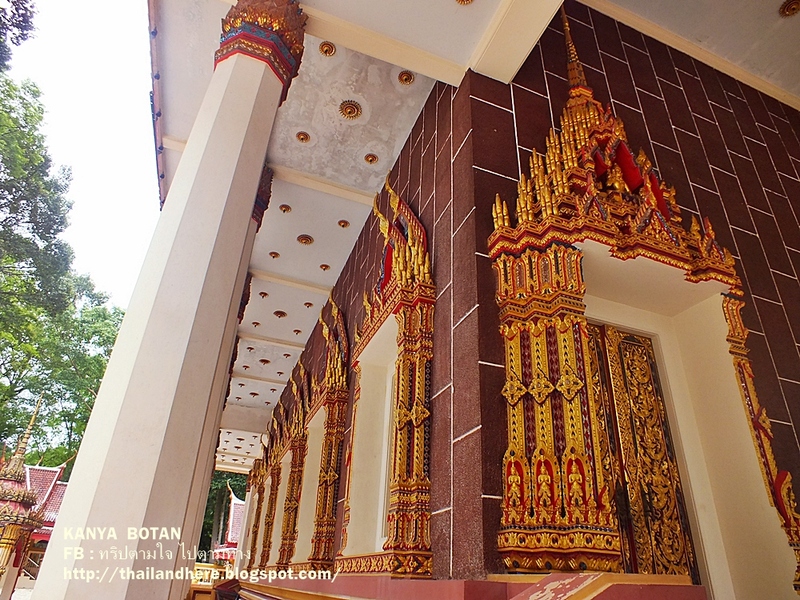 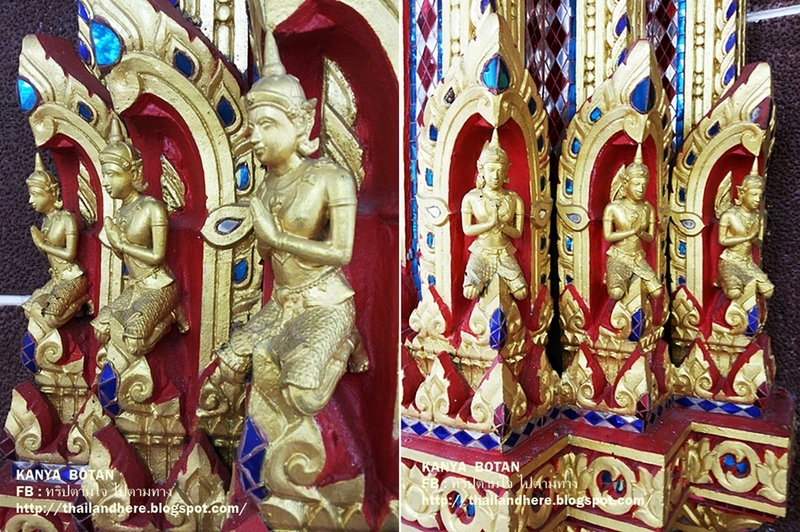 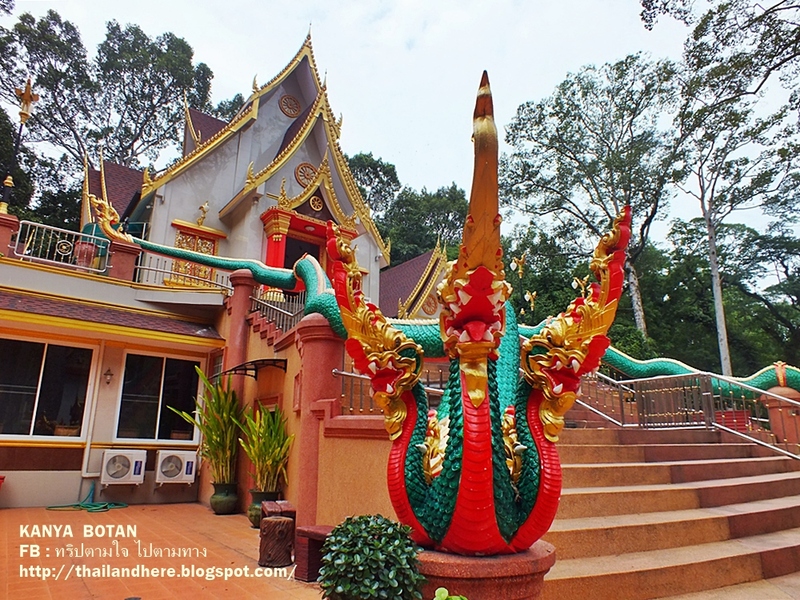 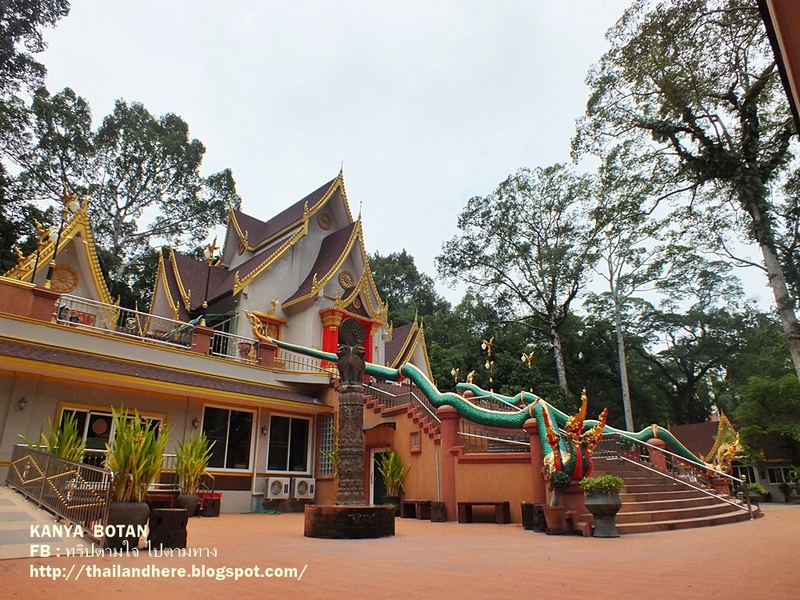 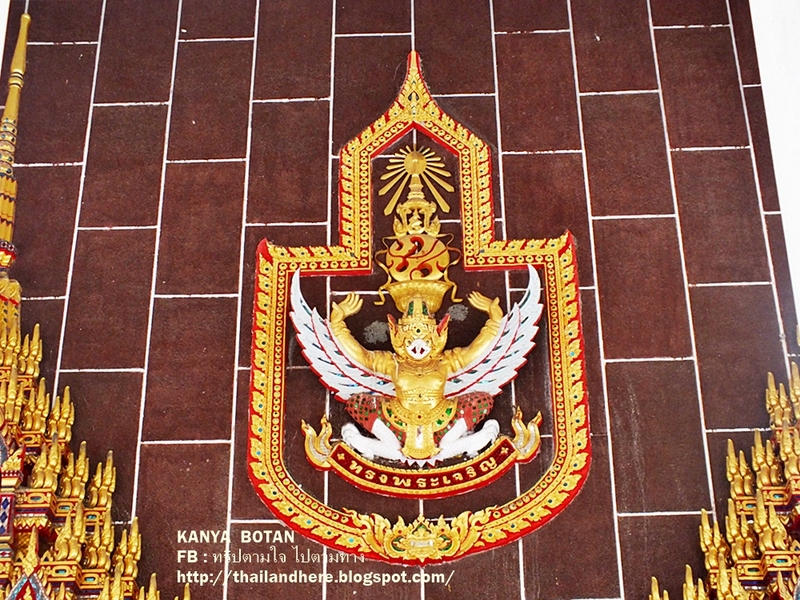 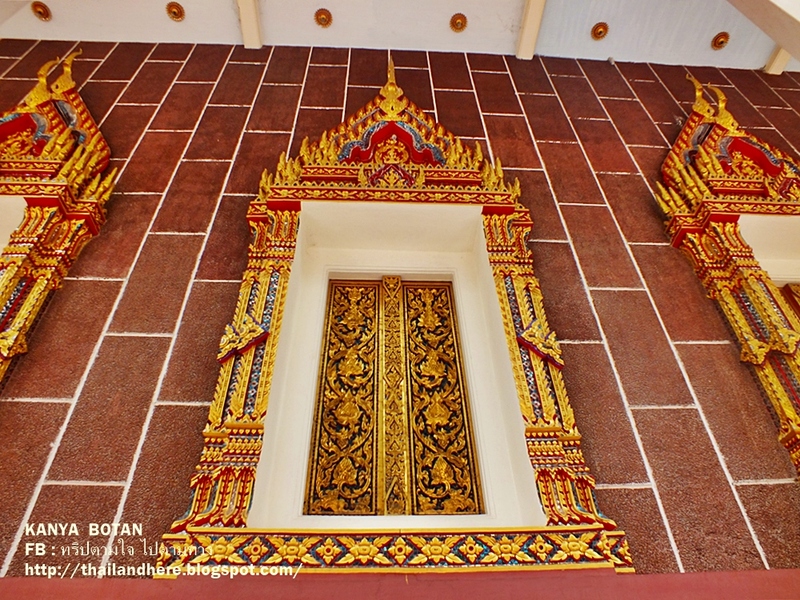 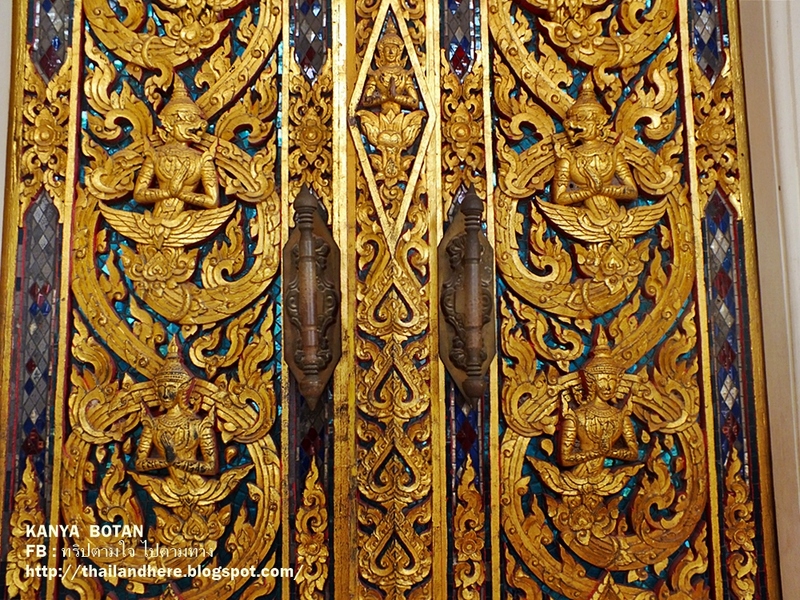 The chapel have a beautiful stucco and carvings of Thai Art Design. 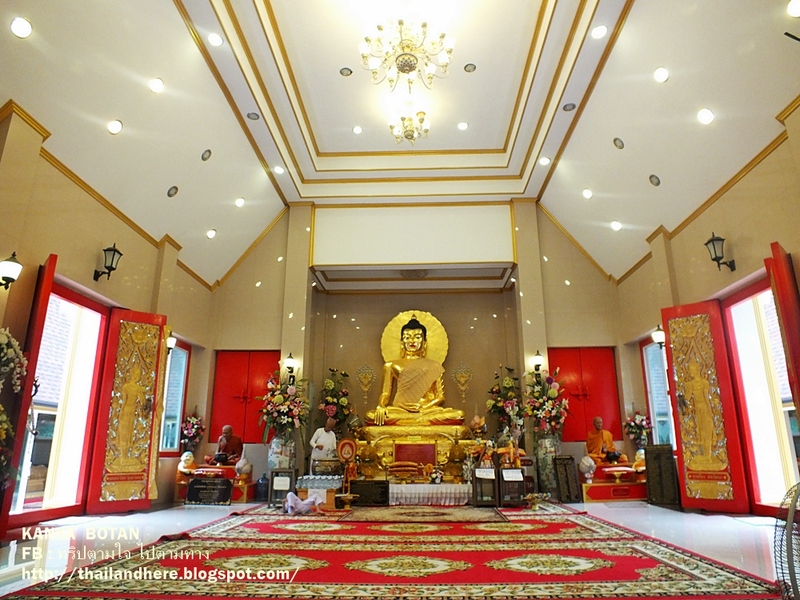 At the walls inside of the chapel area have 25 statues of Buddha and will be a ceremony pouring to cast of 3 Buddha statues on Sunday October 16, 2016, a total 28 statues of Buddha. 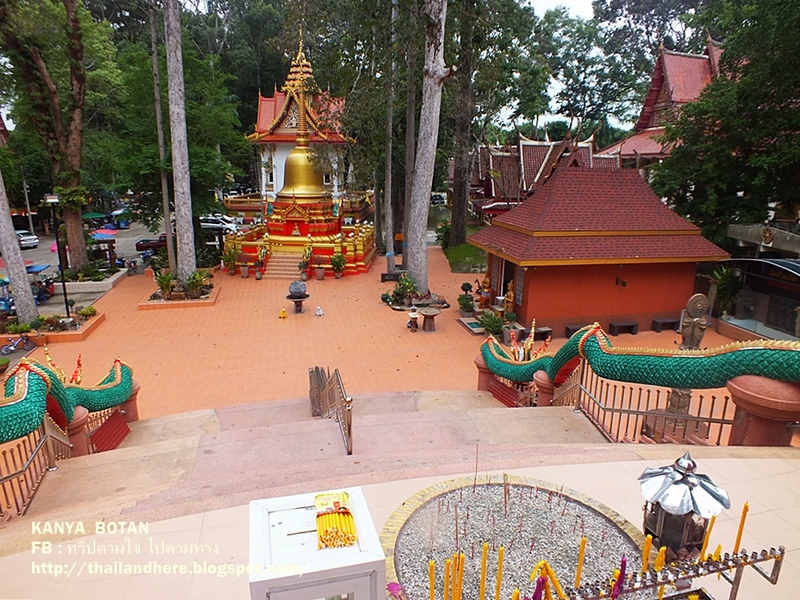 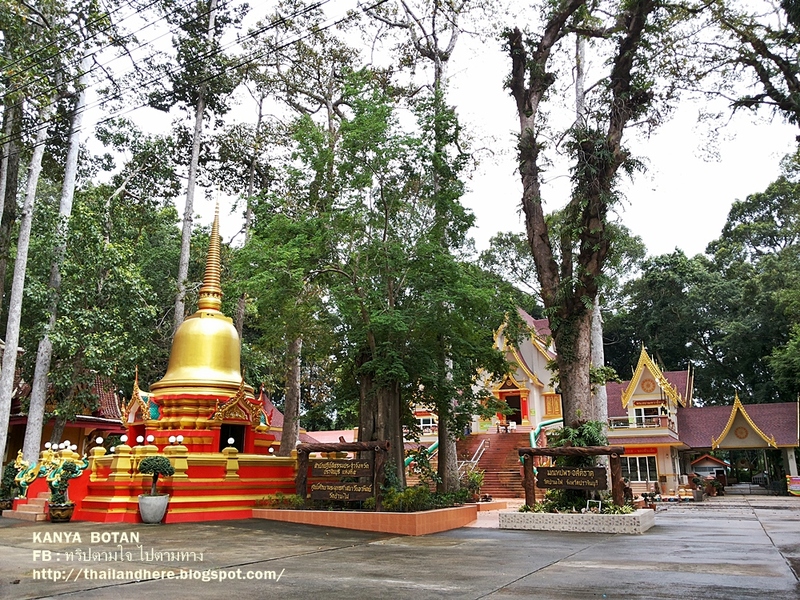 Year 1946 Luang Phor Seng is monk has appointed to an abbot of temple so he began to the development and the temple has continuous development such as build the chapel, Viharn, Mondop Phra Asitithat Hall, sermon hall. 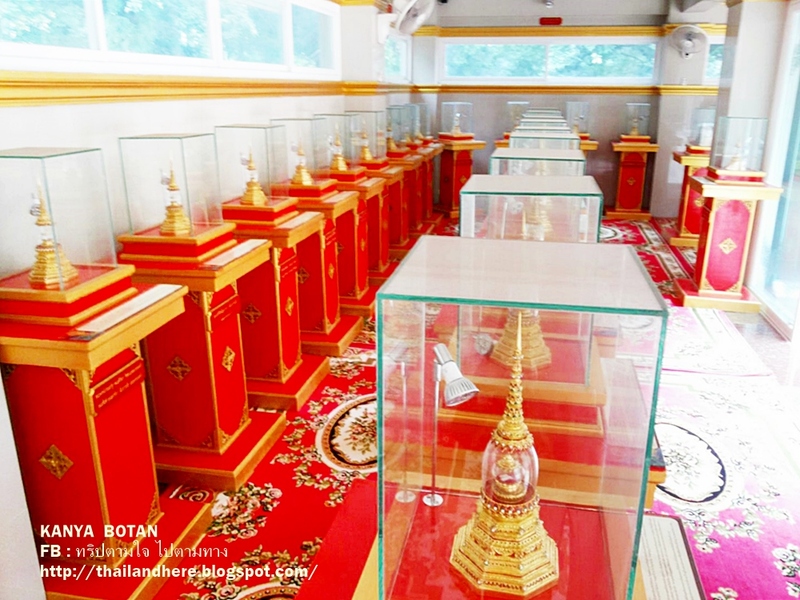 Also was selected by the Department of Religious Affairs to the temple developed the samples award in 1977 and Excellent Development Temple Award of year 1980. 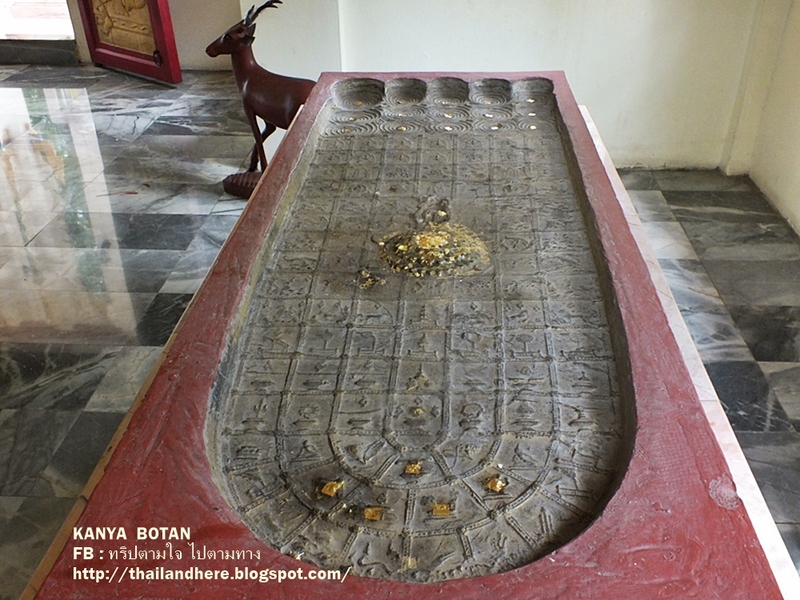 Viharn Somdej Toh Prom Rangsi inside is enshrined of a statue Somdej Toh Prom Rangsi important monk of SIAM, Footprint model and a statue of Katyayana (Buddhist) in Thai called Phra Maha Katchaina (Thai : พระมหากัจจายนะ). 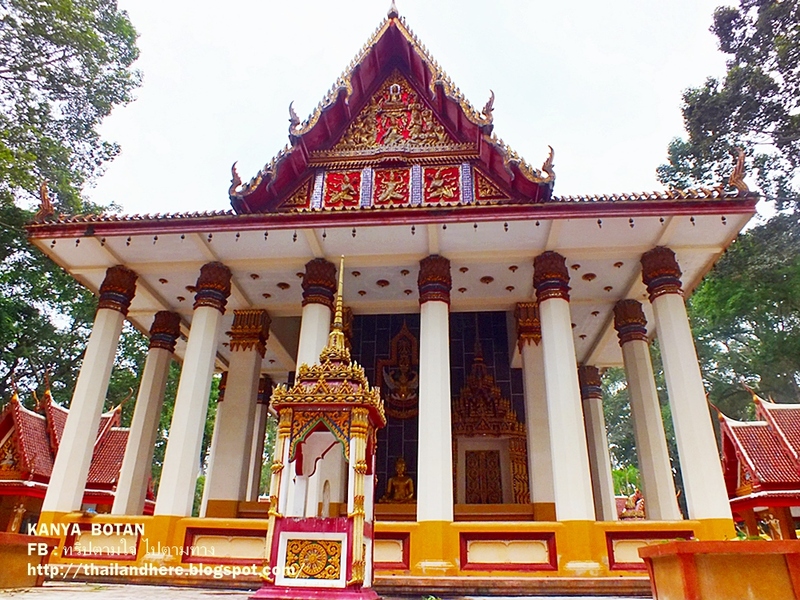 The bell tower of Wat Pamafai. 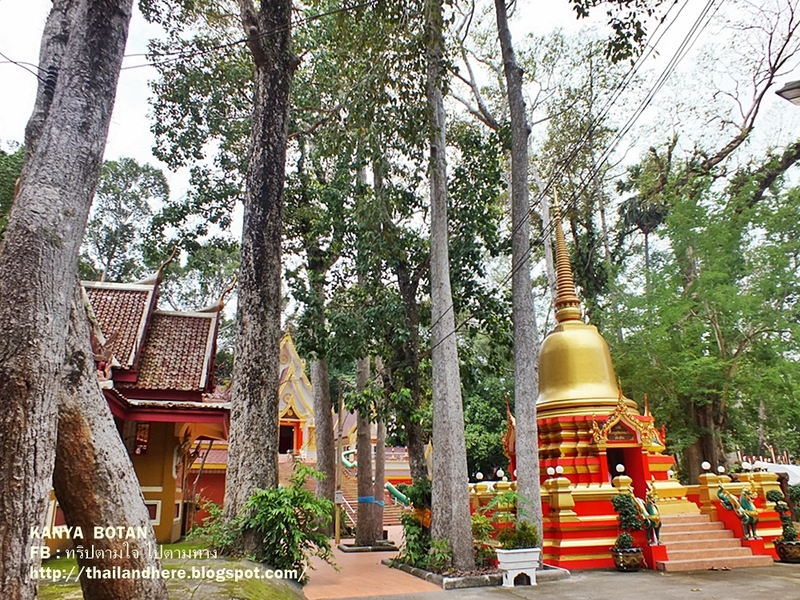 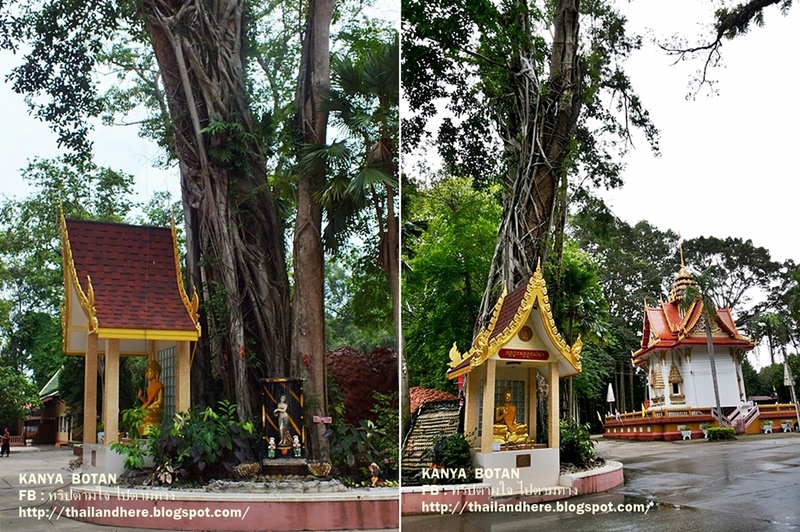 The area of the temple covered with tall trees and also decorated with flowers, trees, fountains, small waterfalls, many lovely statues dolls. 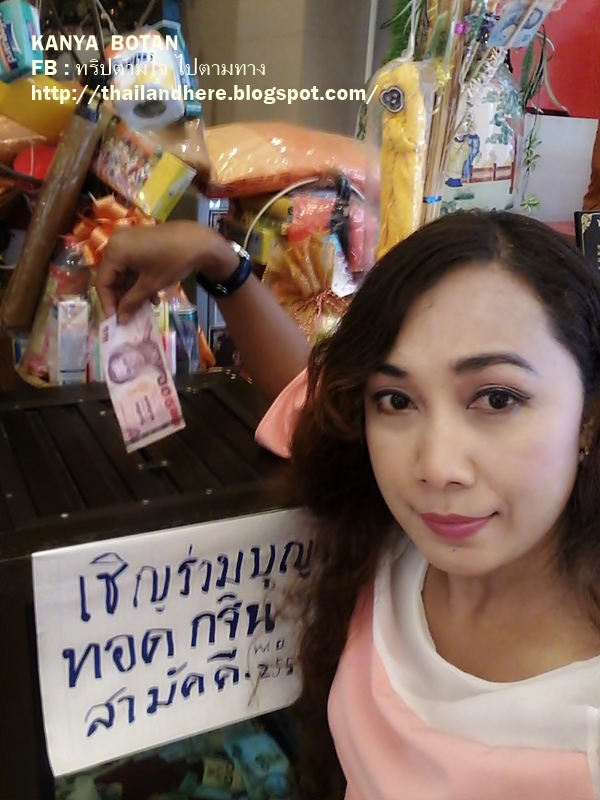 FB : Trip Tam Jai Pai Tam Tang. 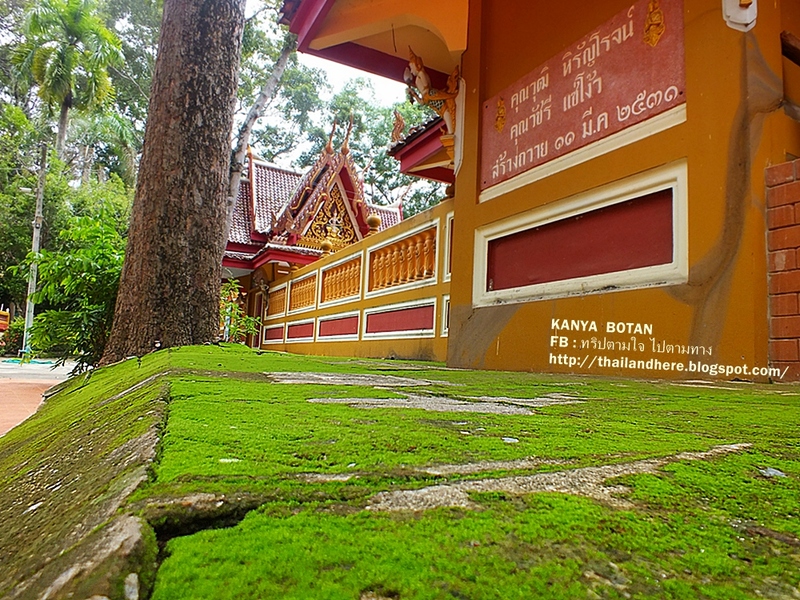 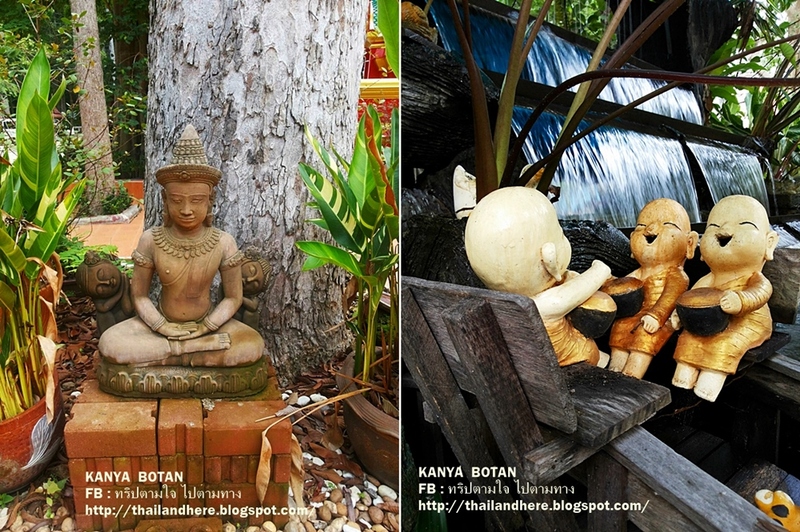 FB : Travel in Thailand by Botan. 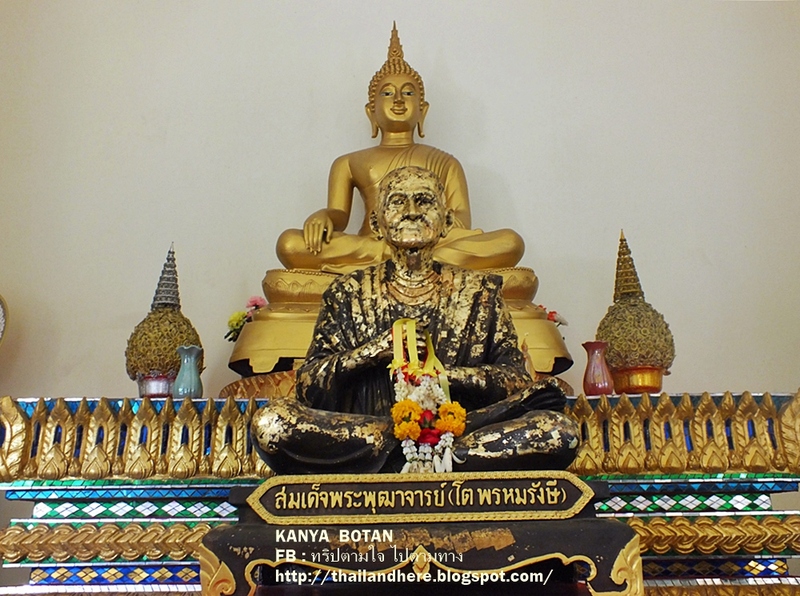 My name is Botan I'm live in Bangkok Thailand.